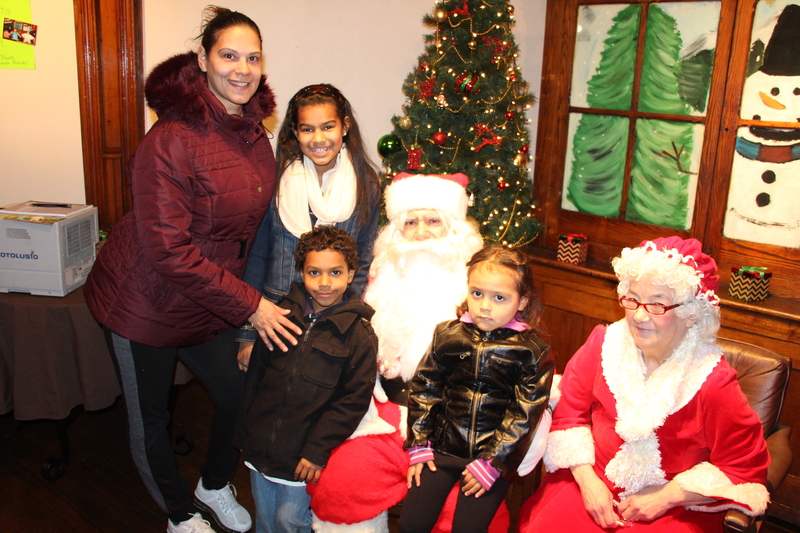 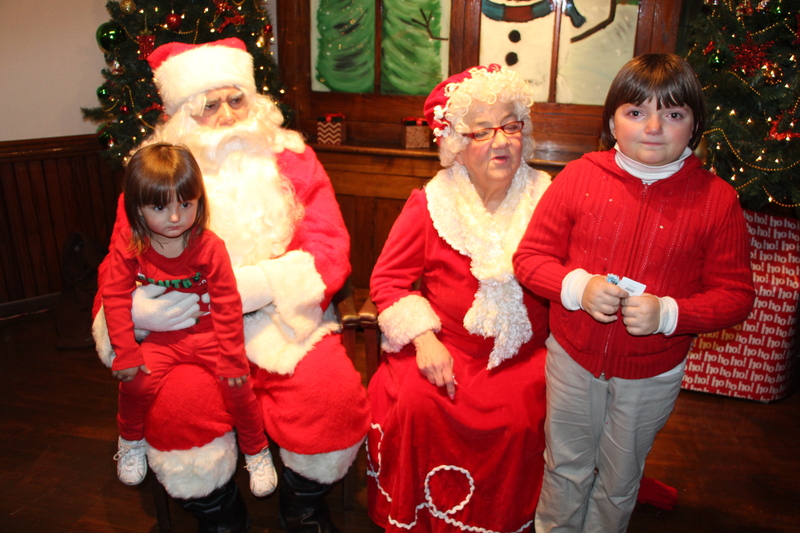 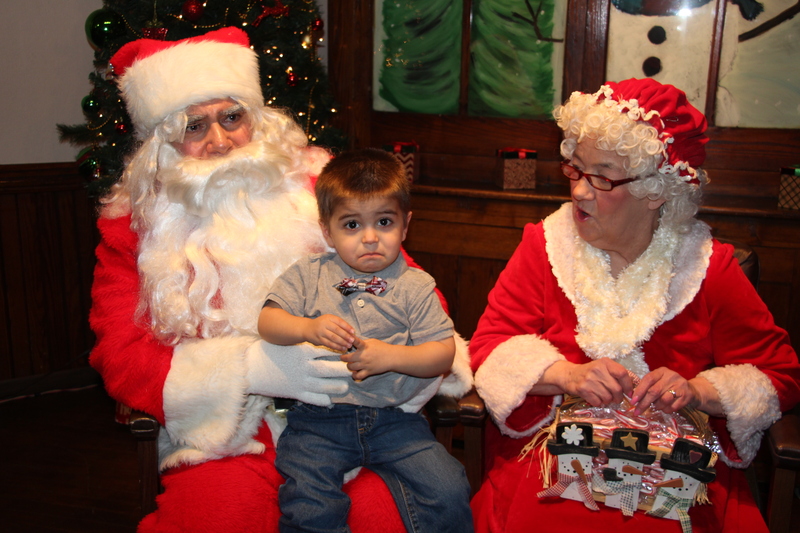 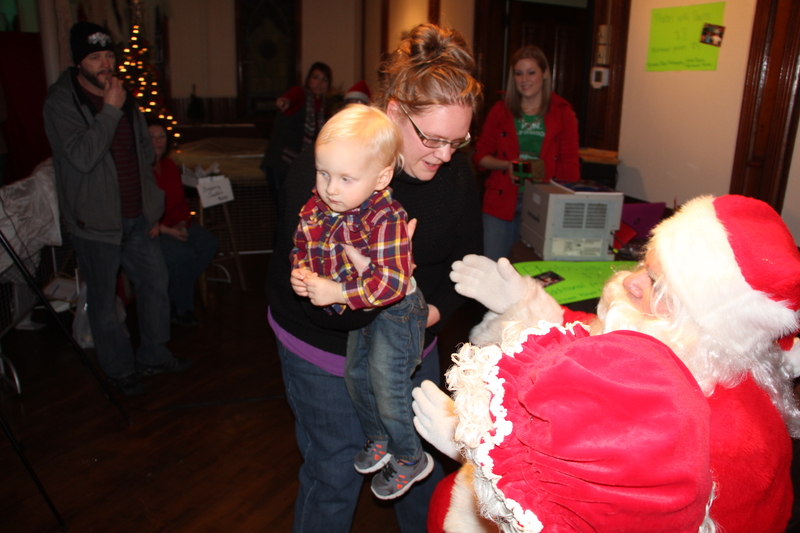 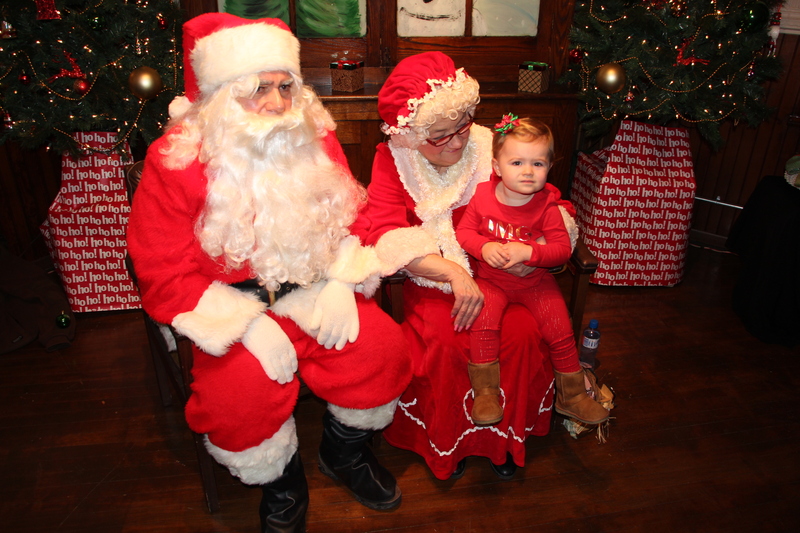 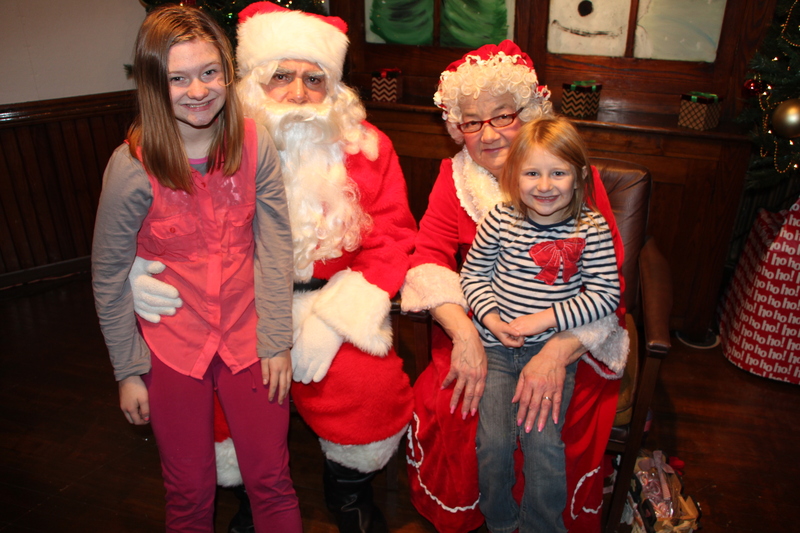 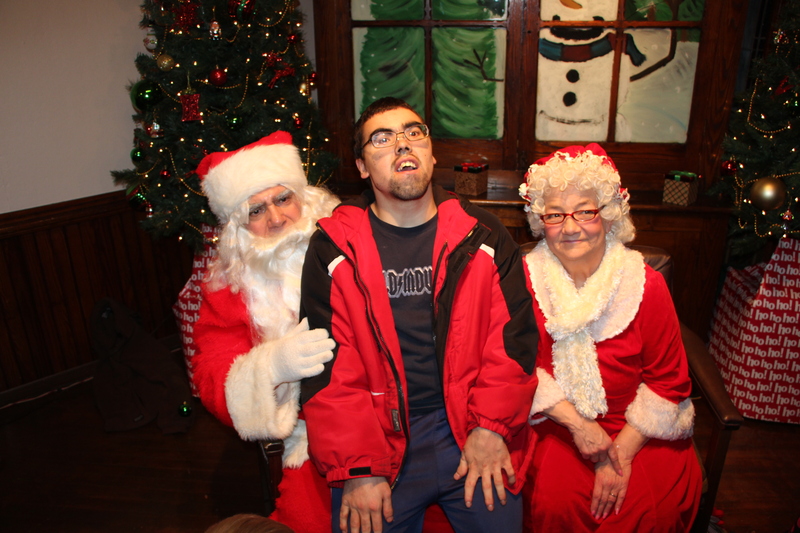 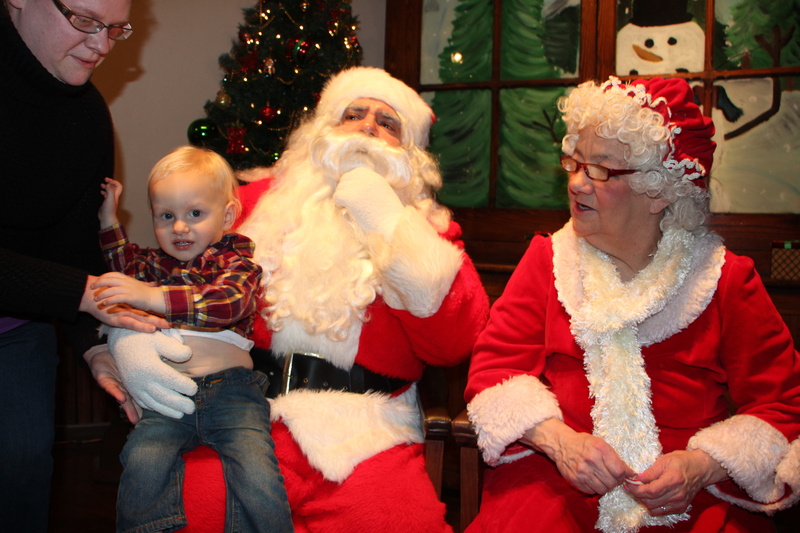 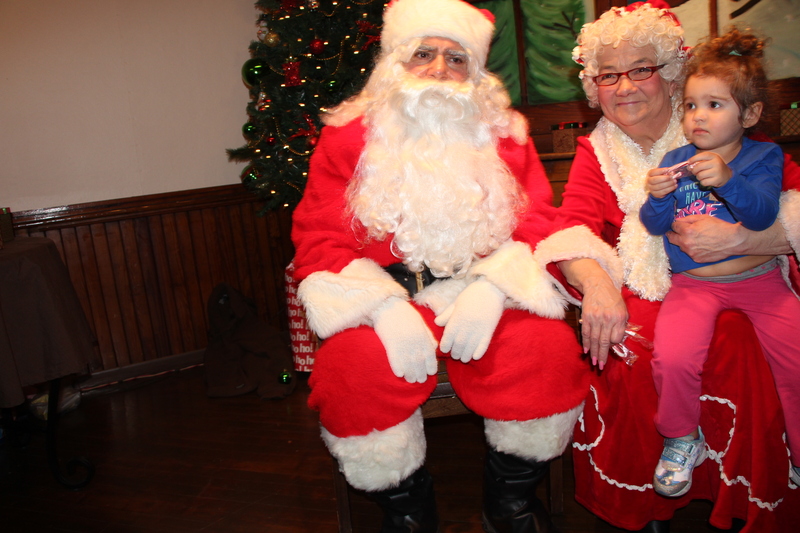 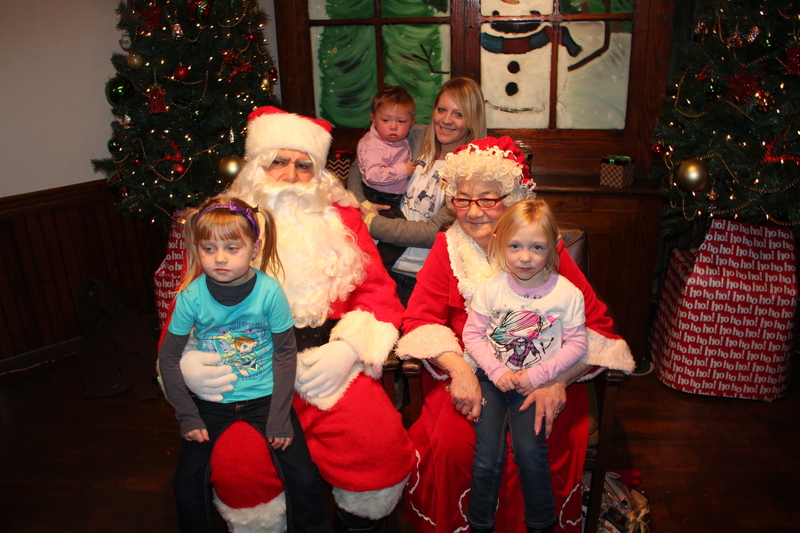 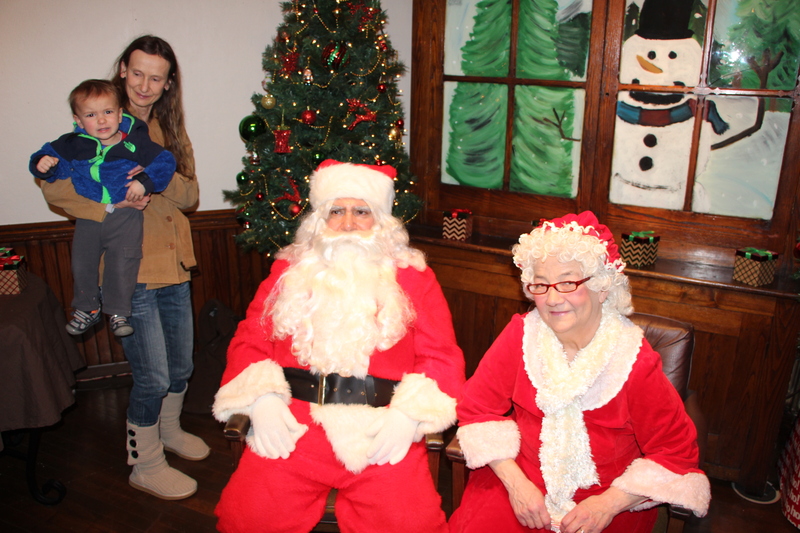 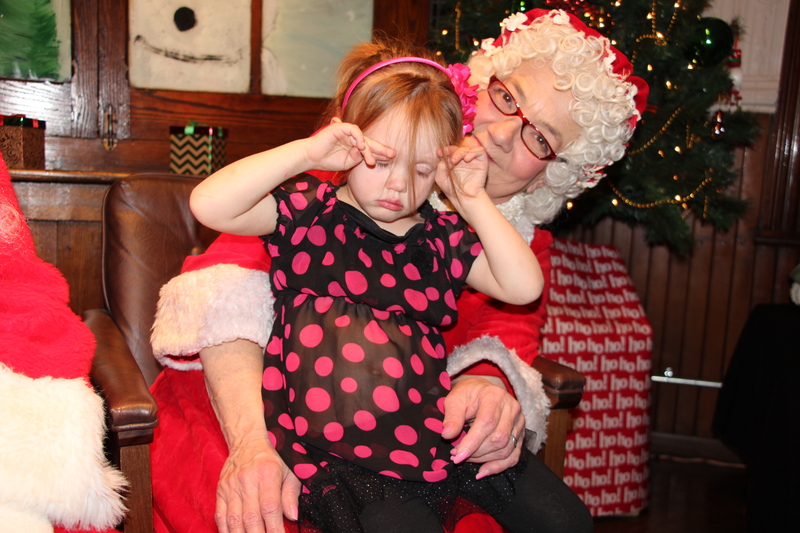 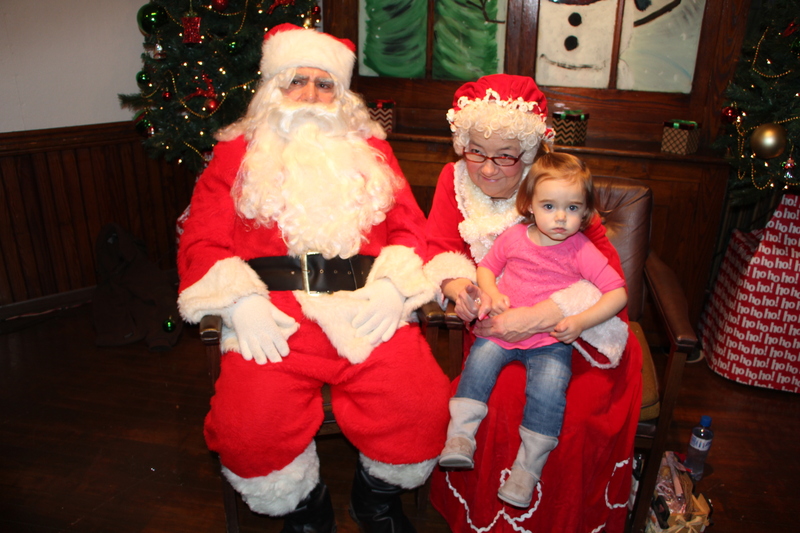 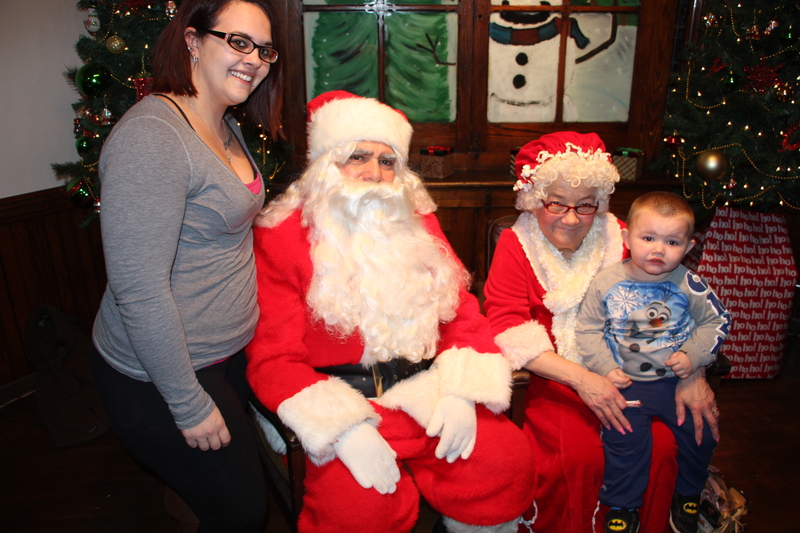 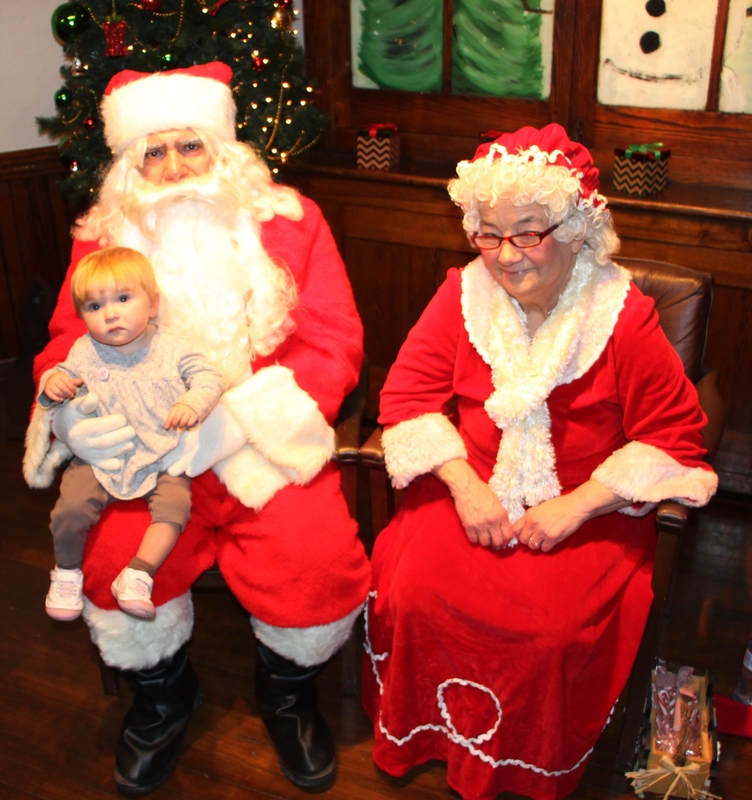 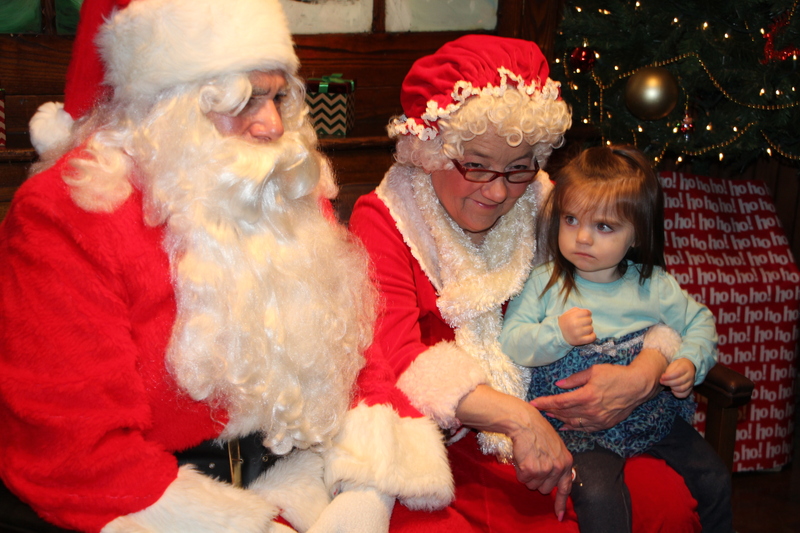 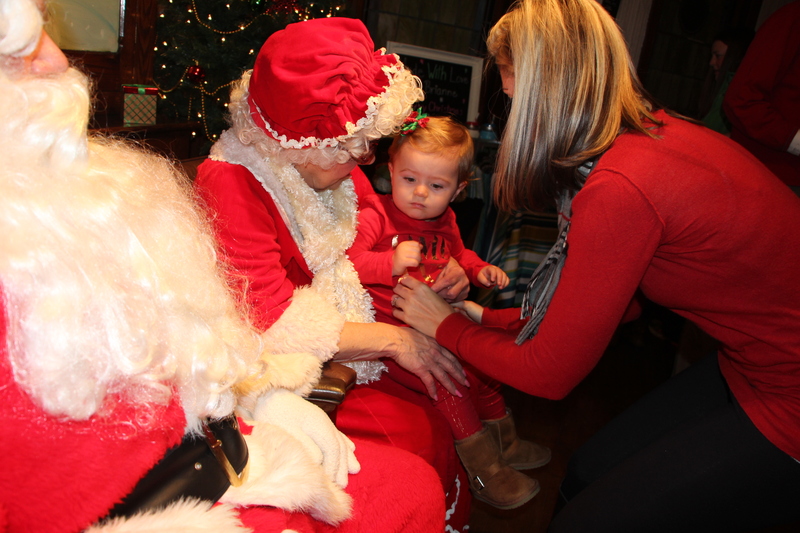 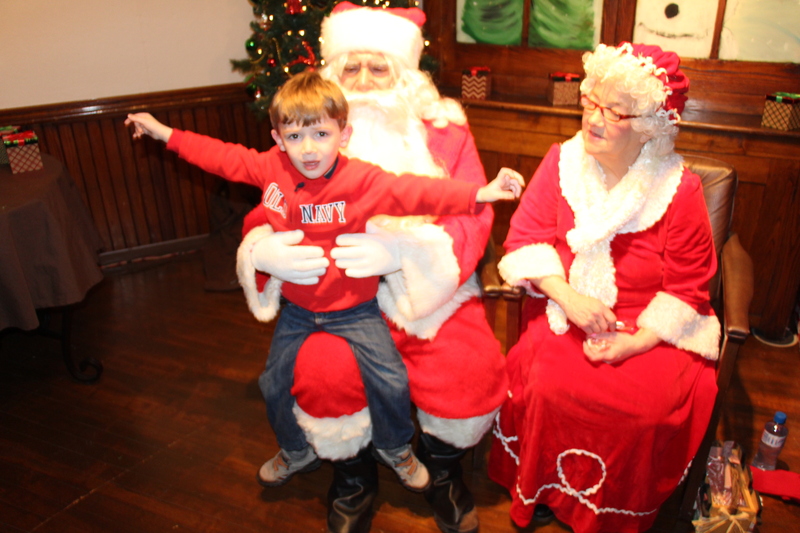 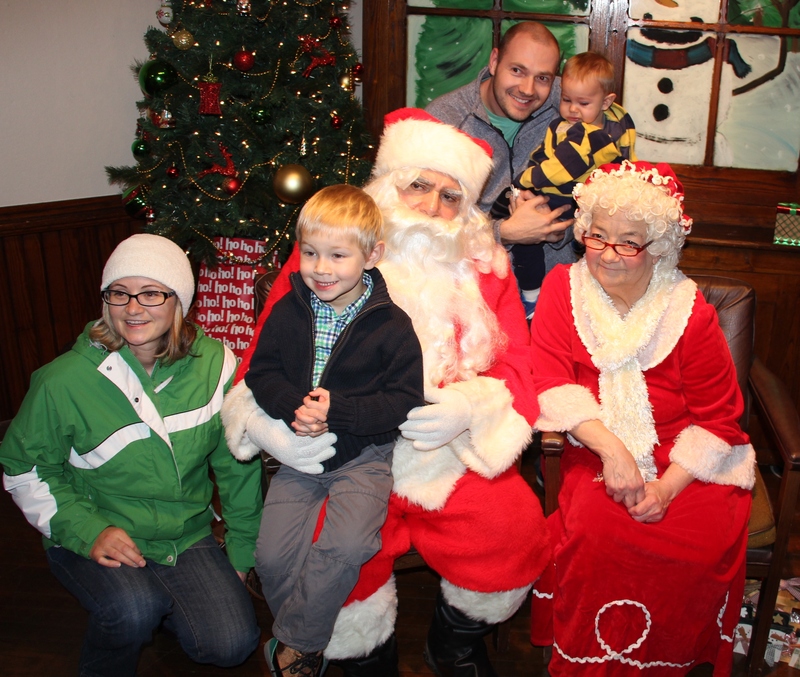 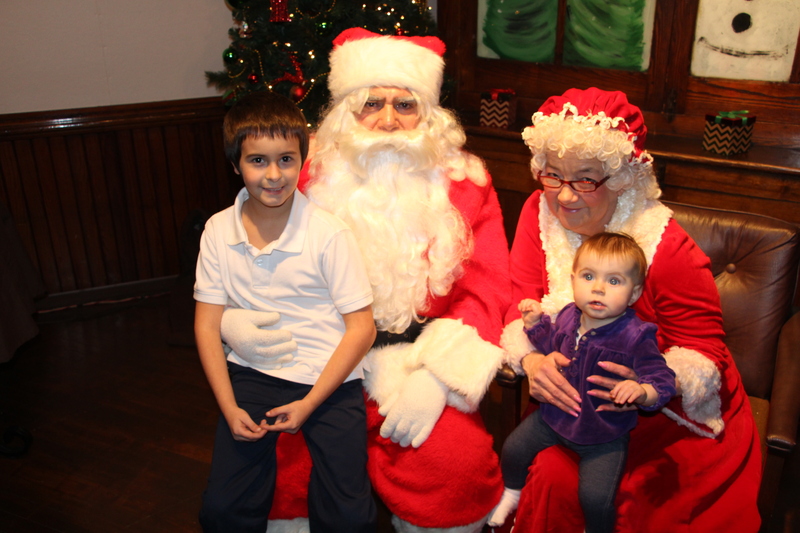 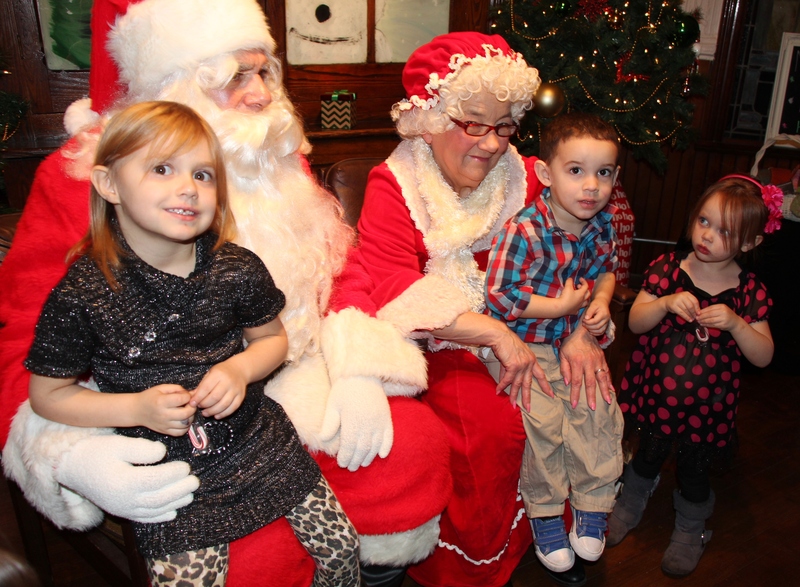 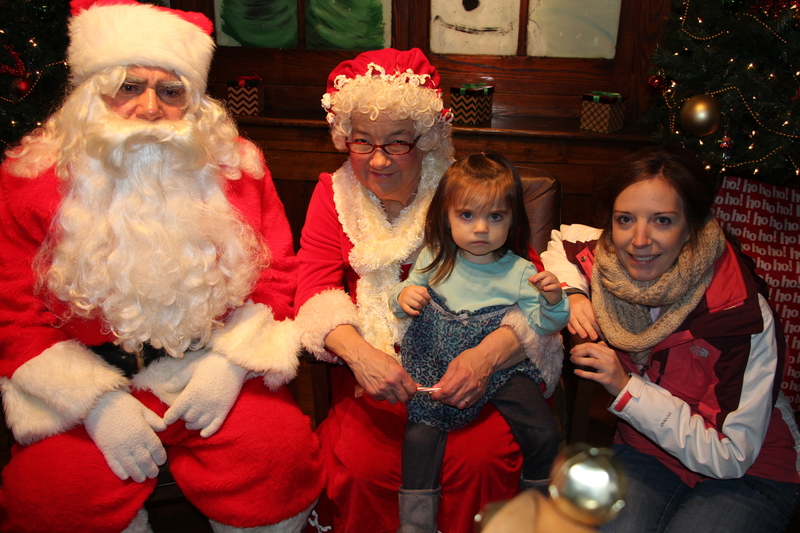 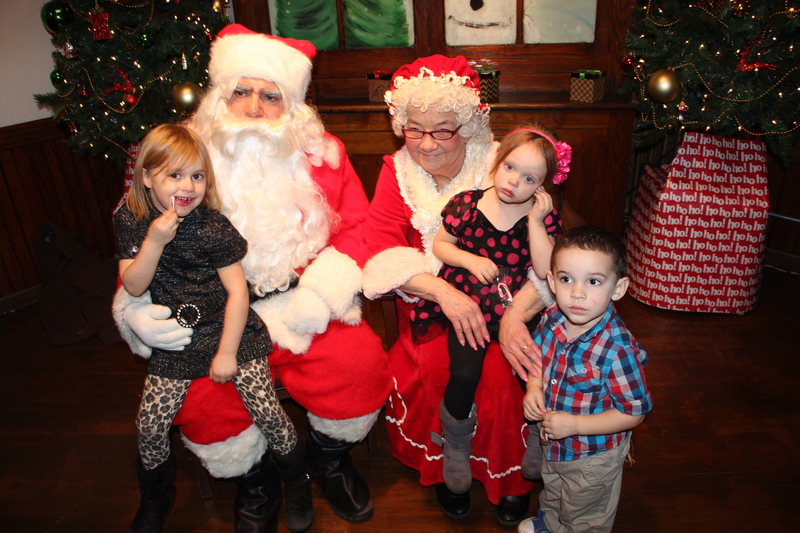 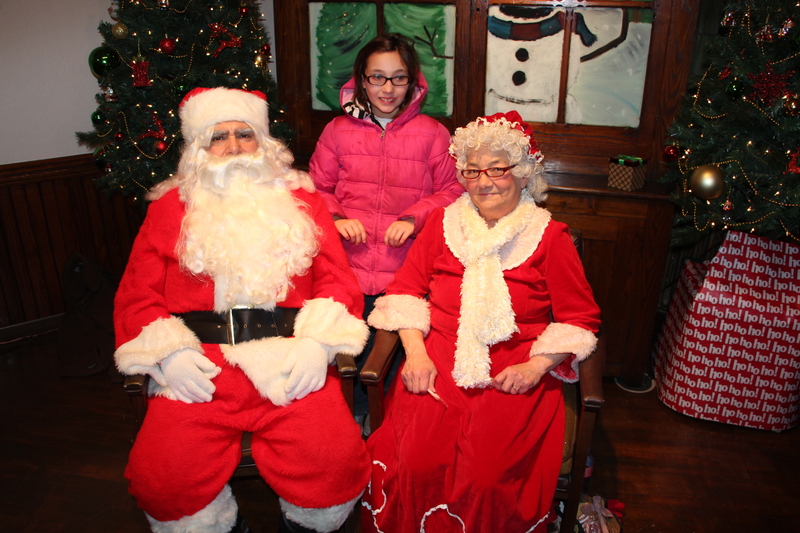 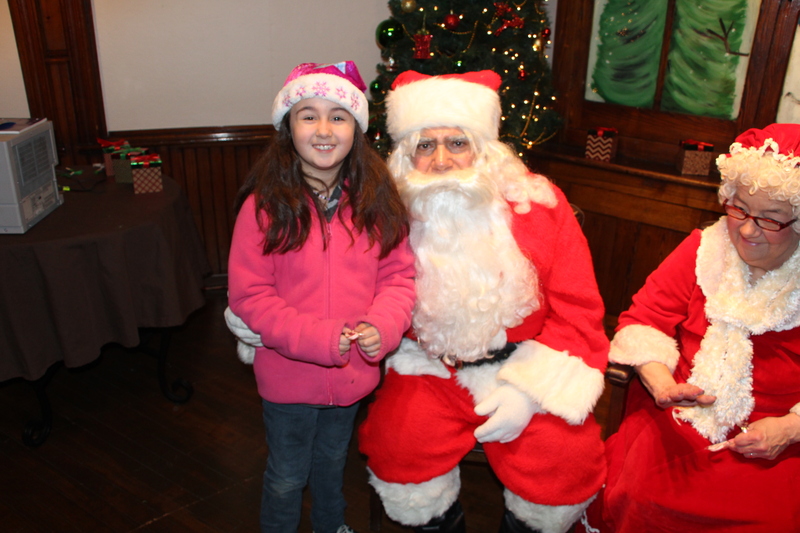 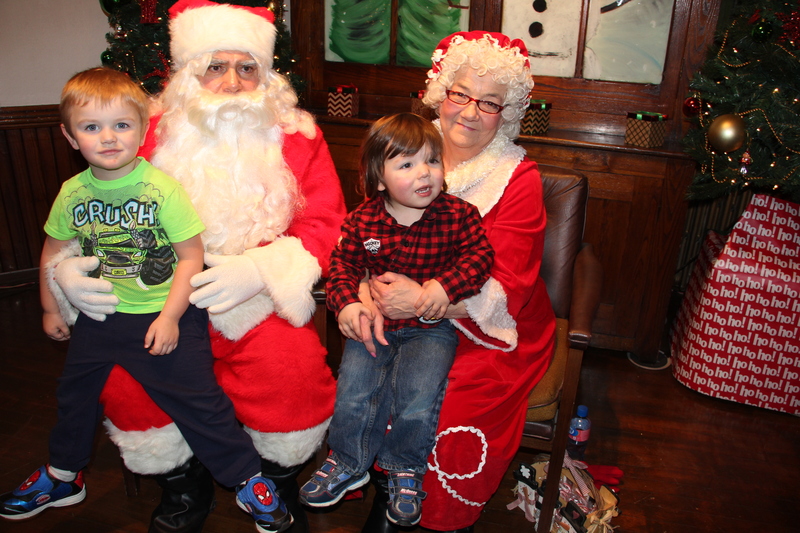 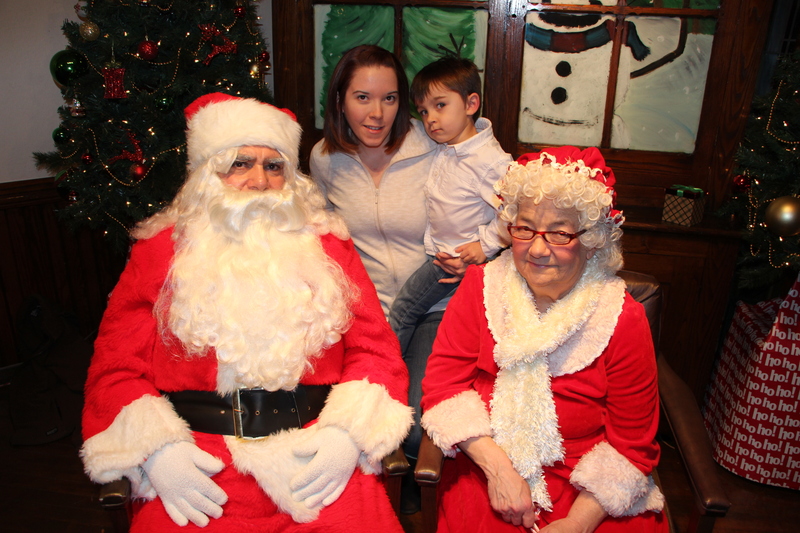 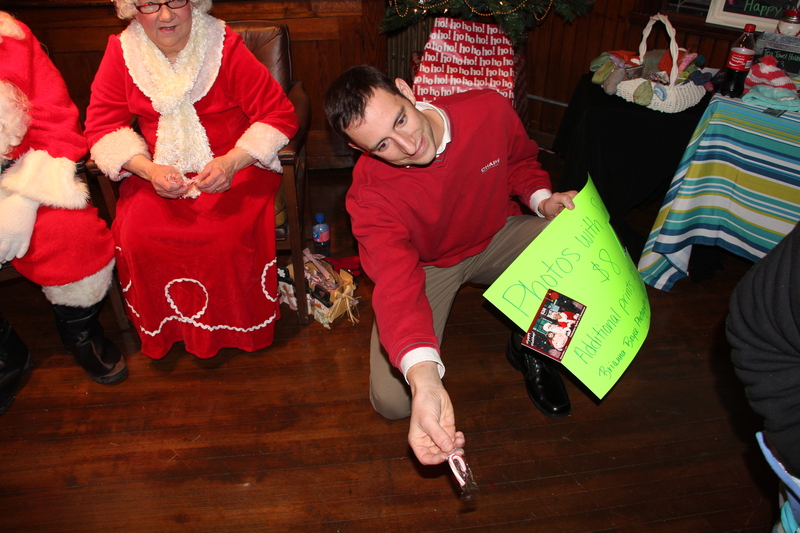 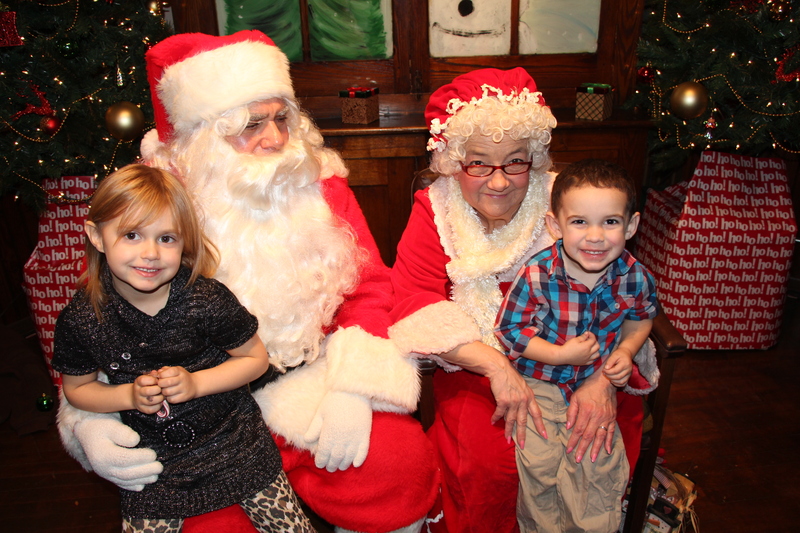 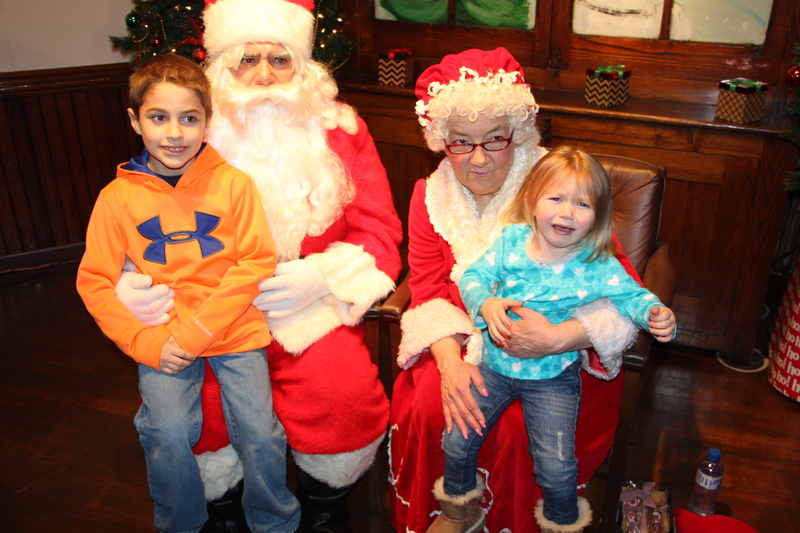 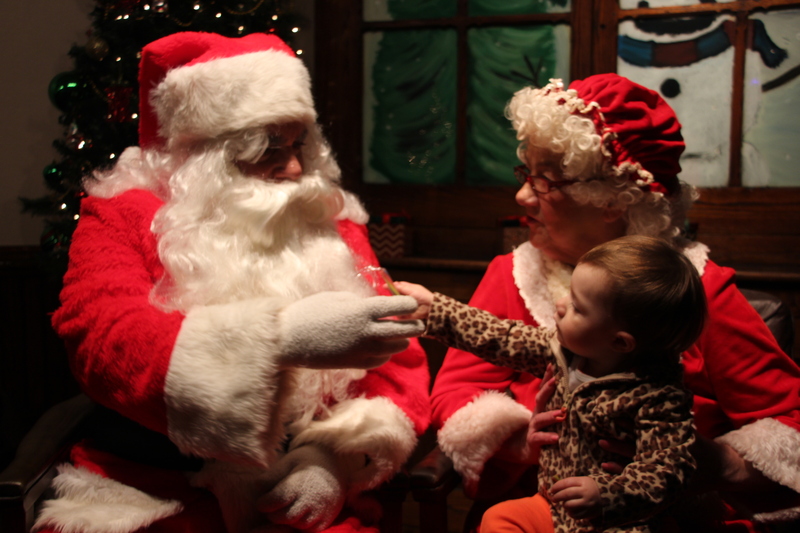 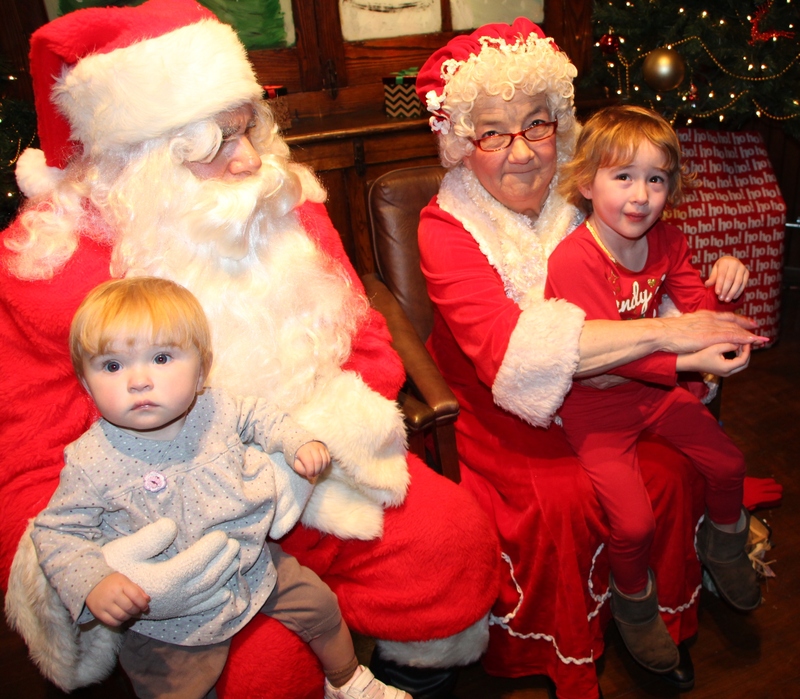 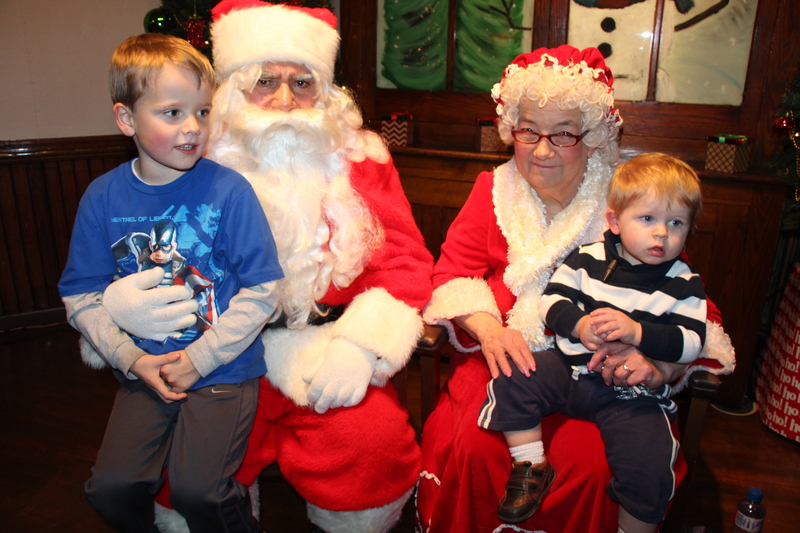 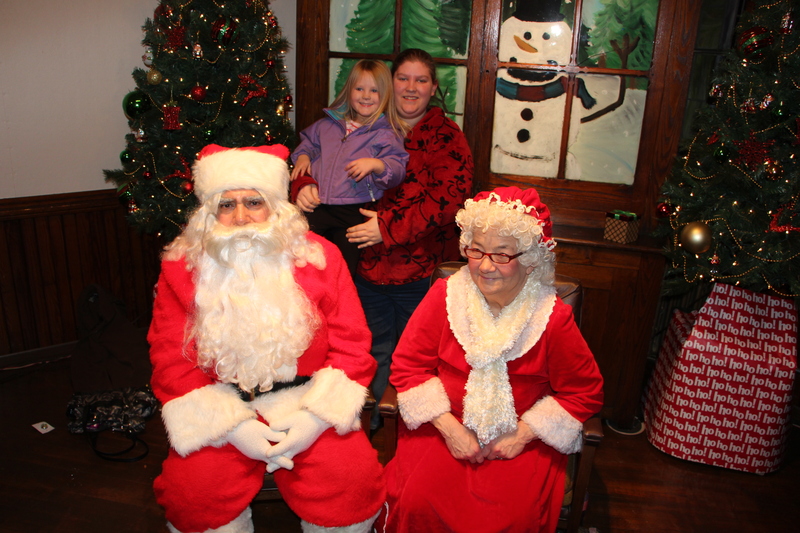 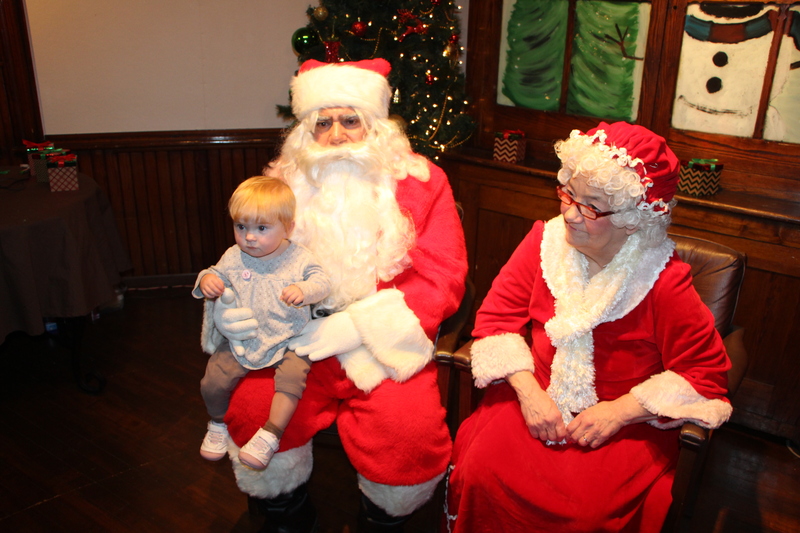 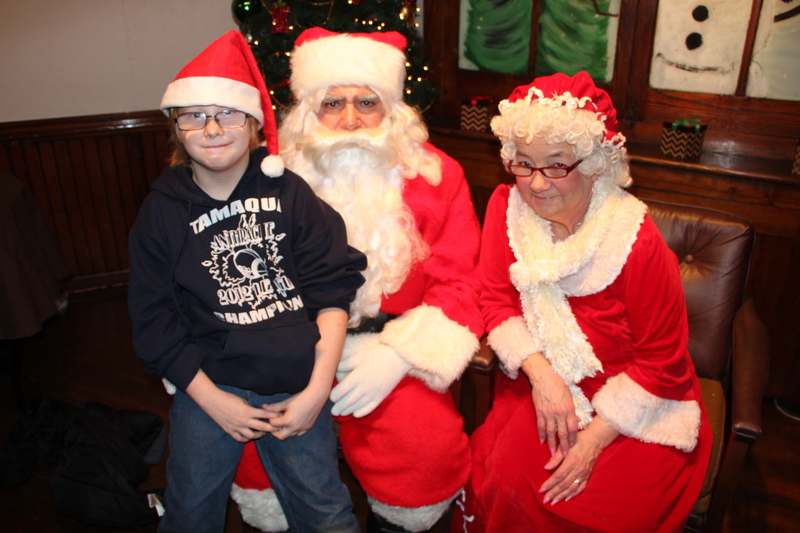 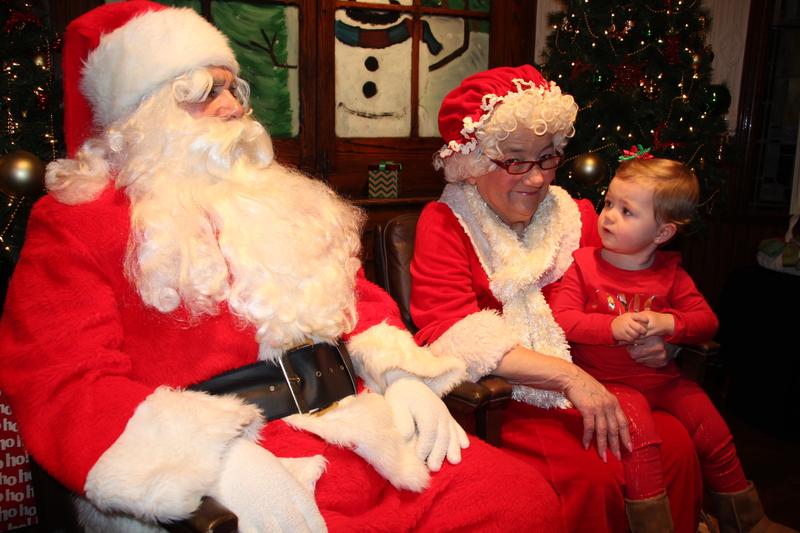 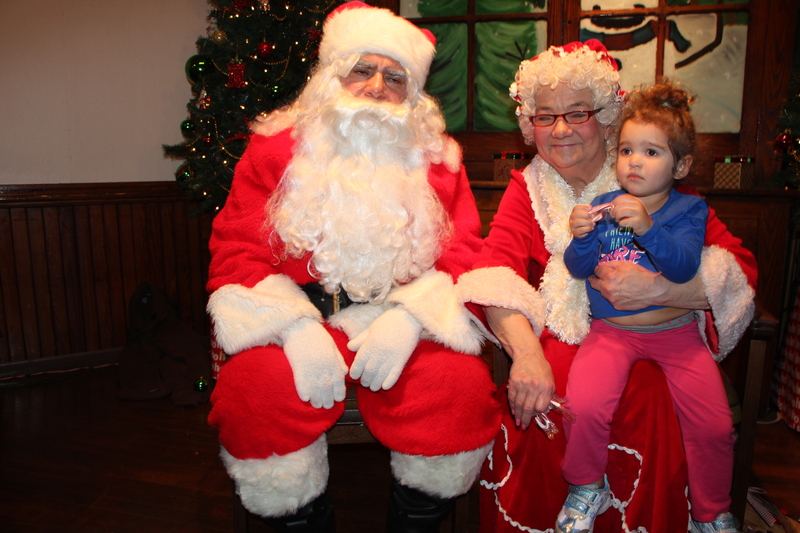 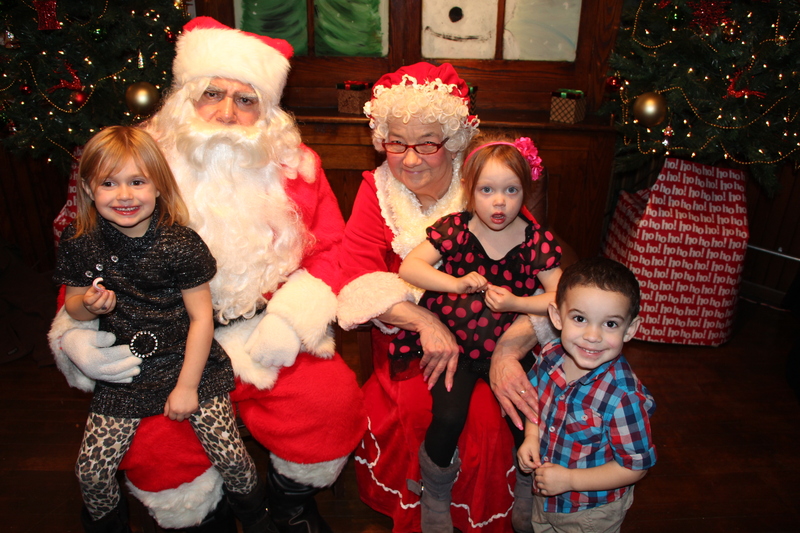 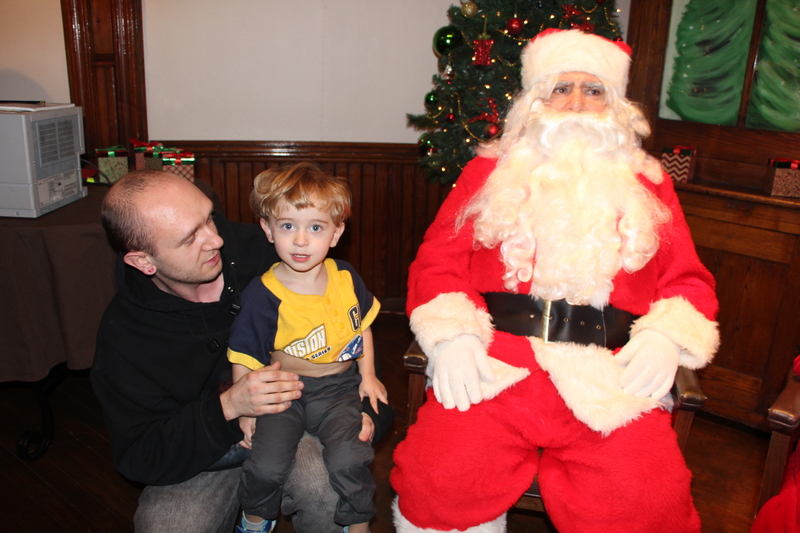 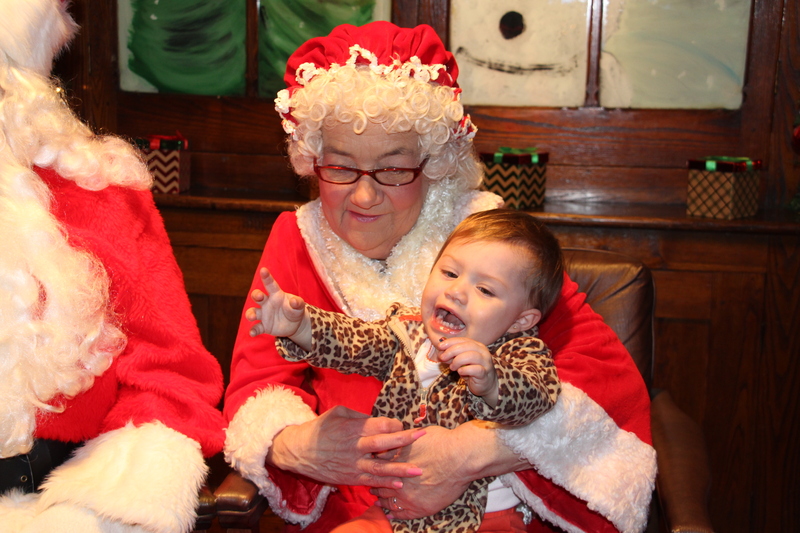 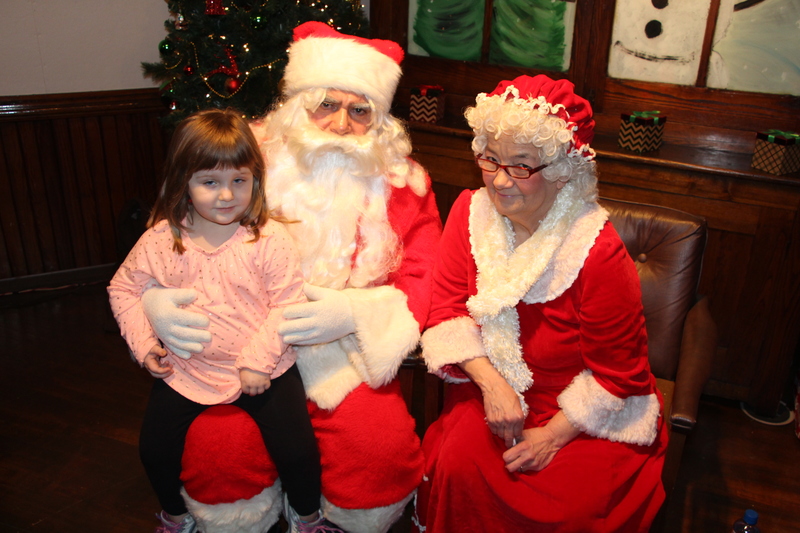 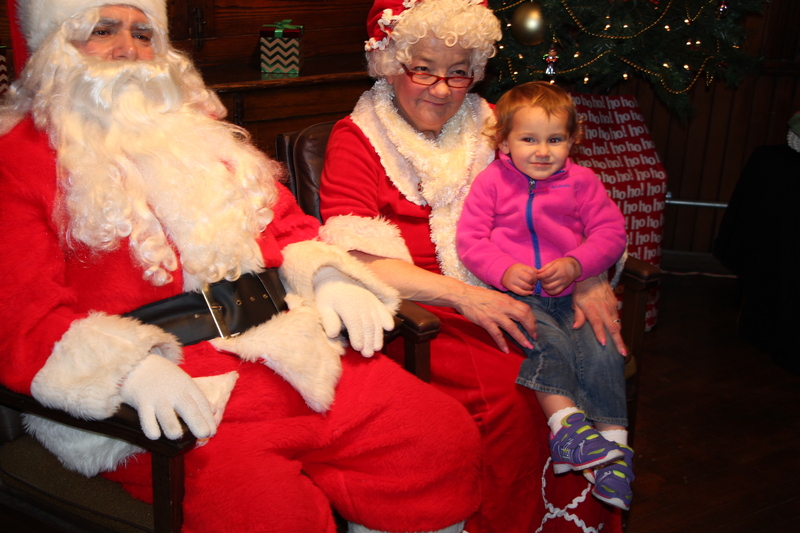 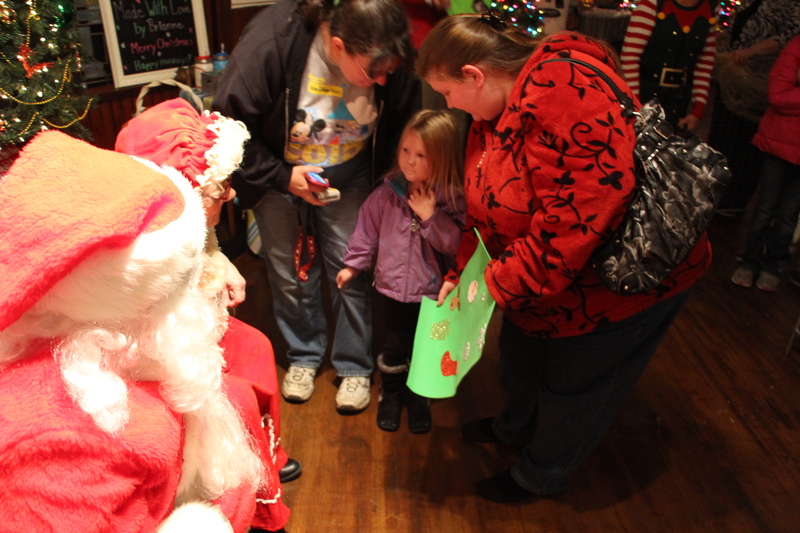 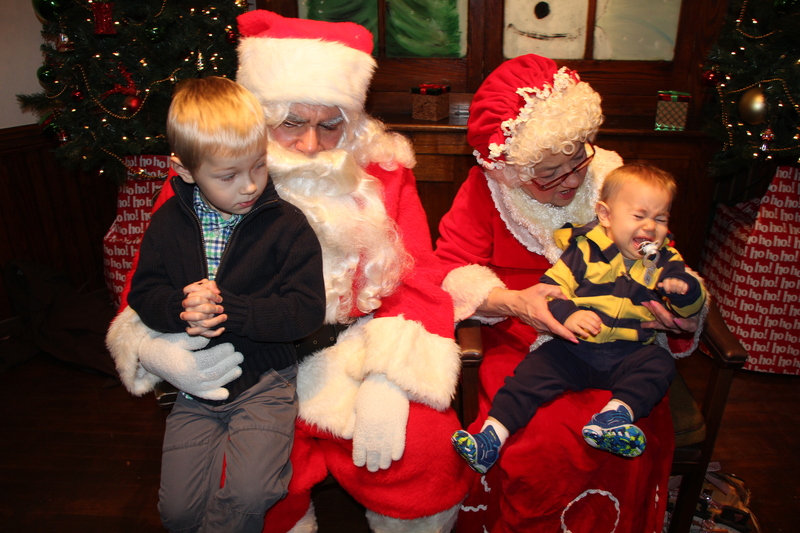 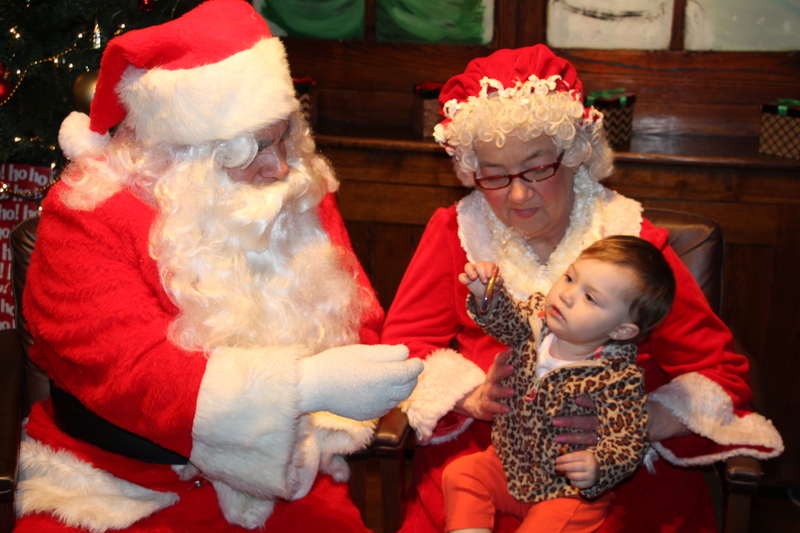 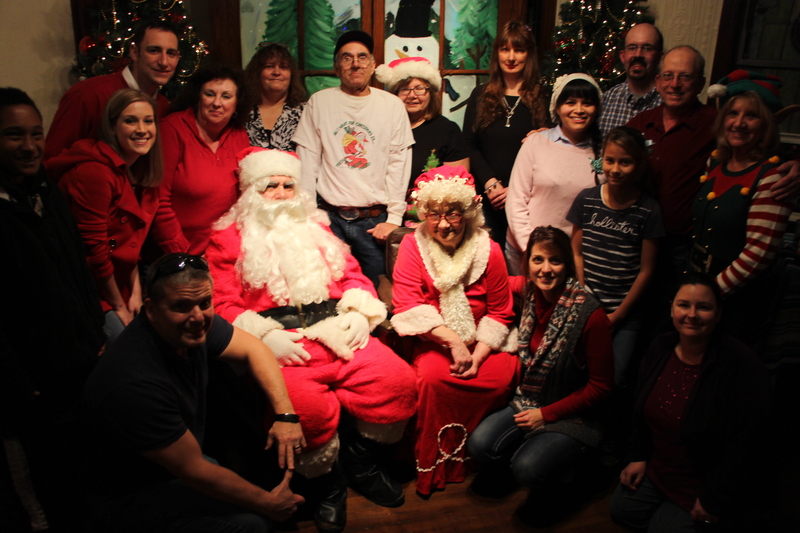 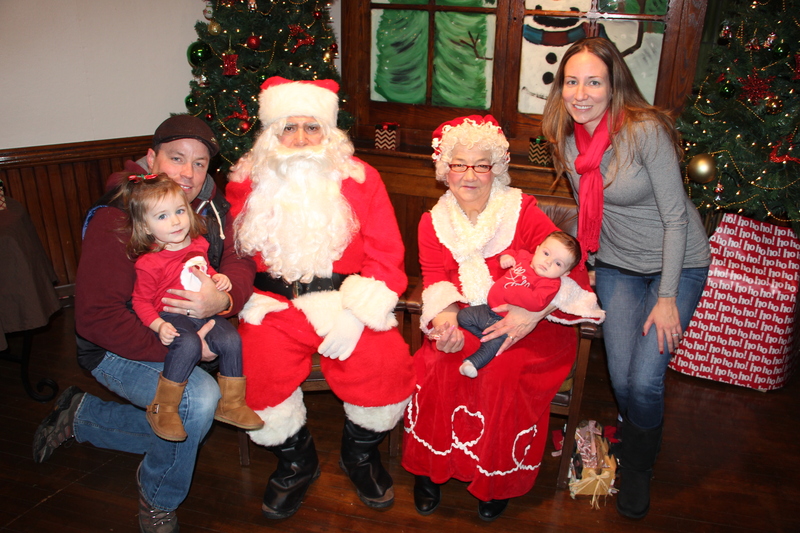 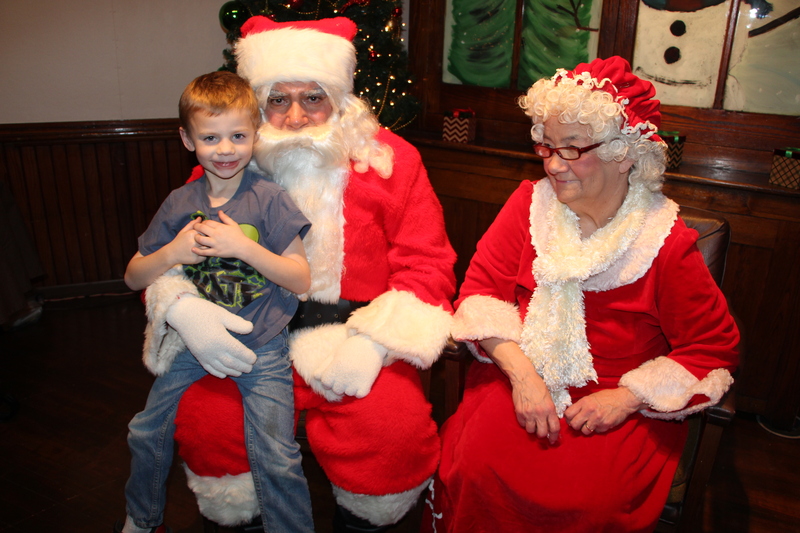 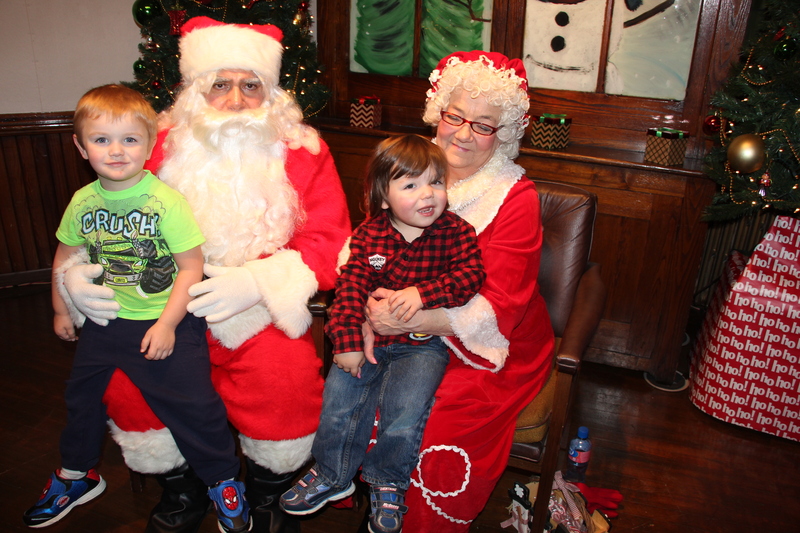 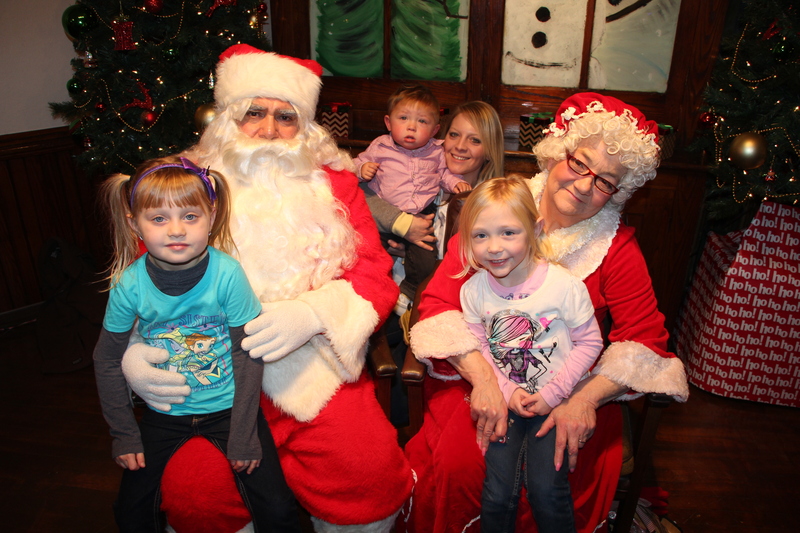 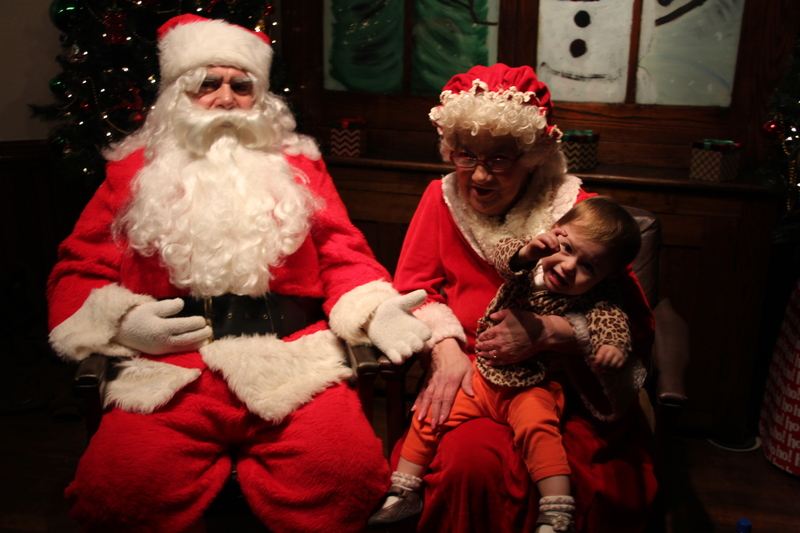 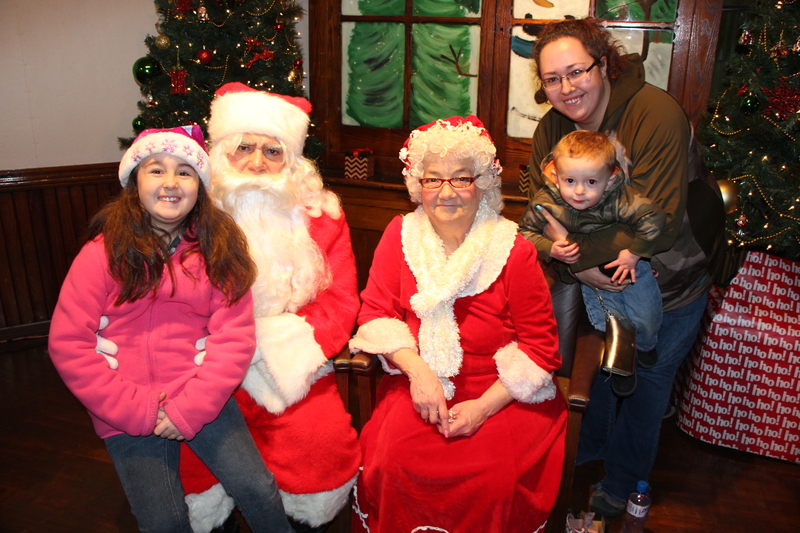 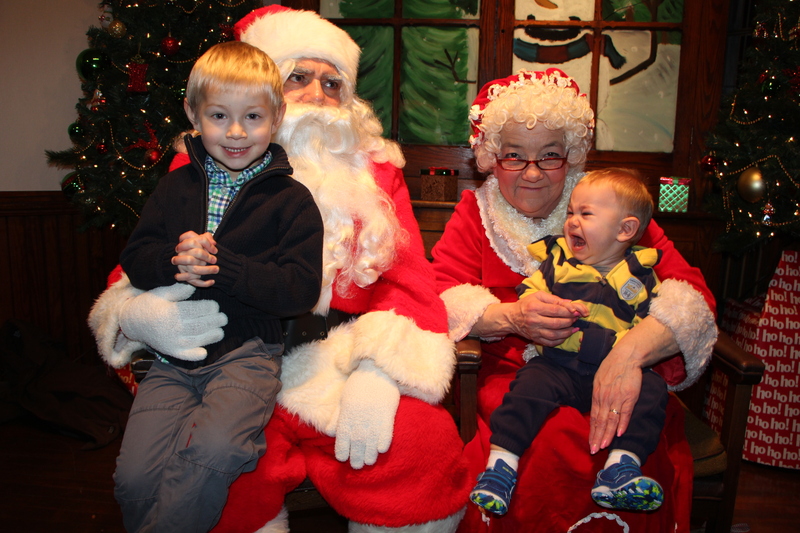 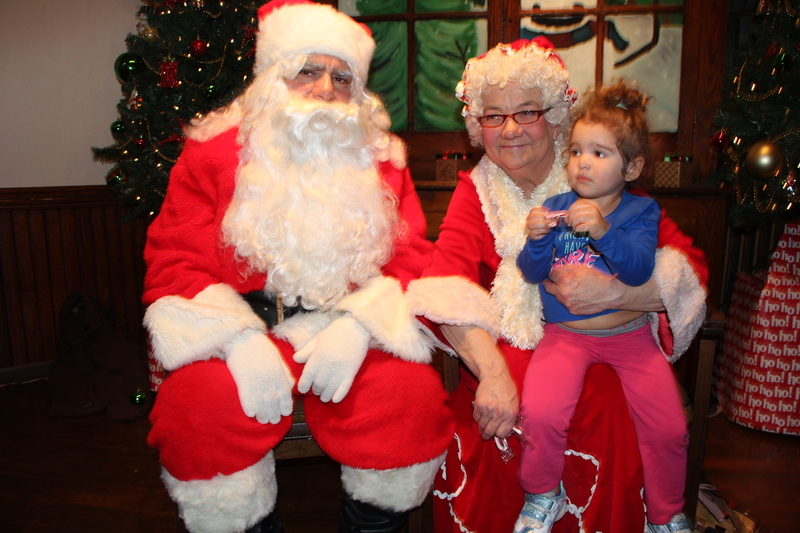 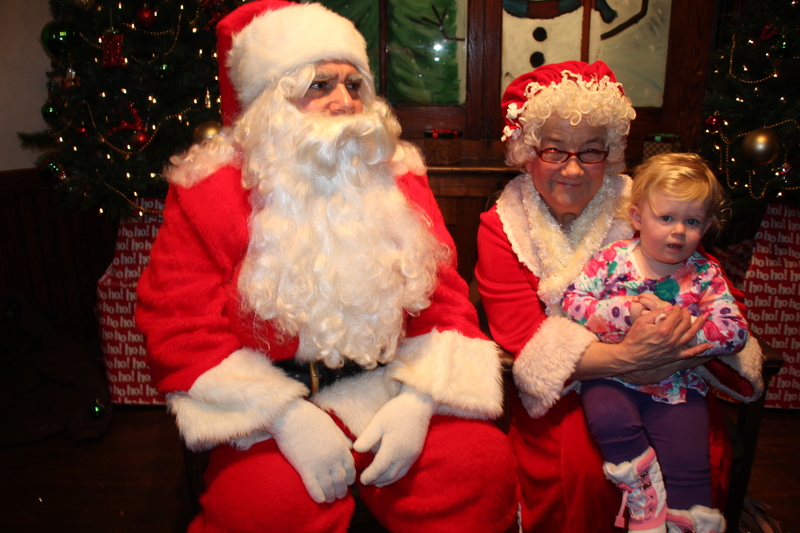 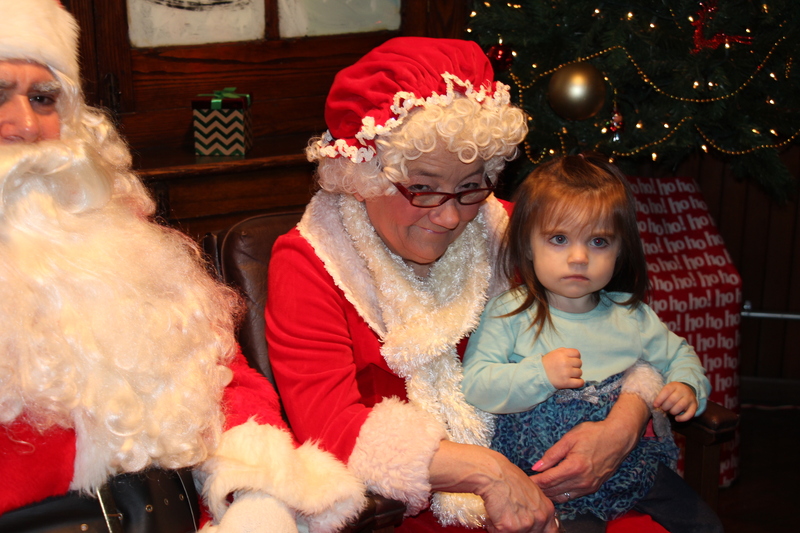 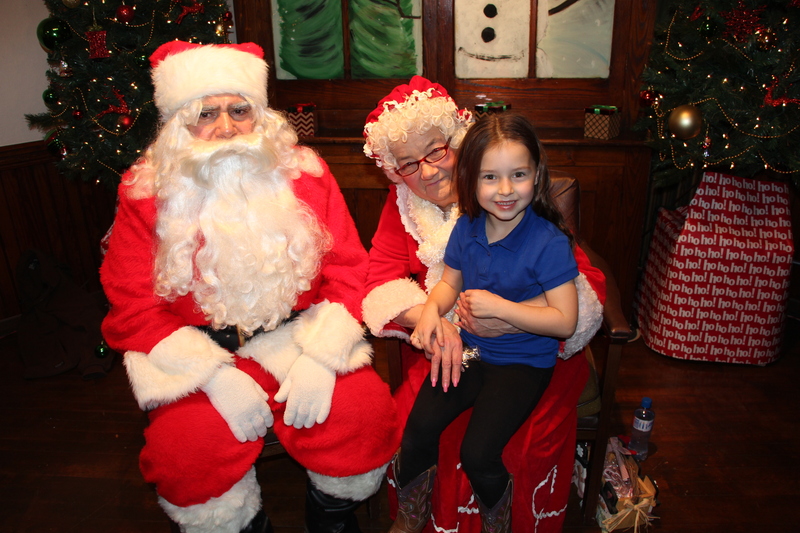 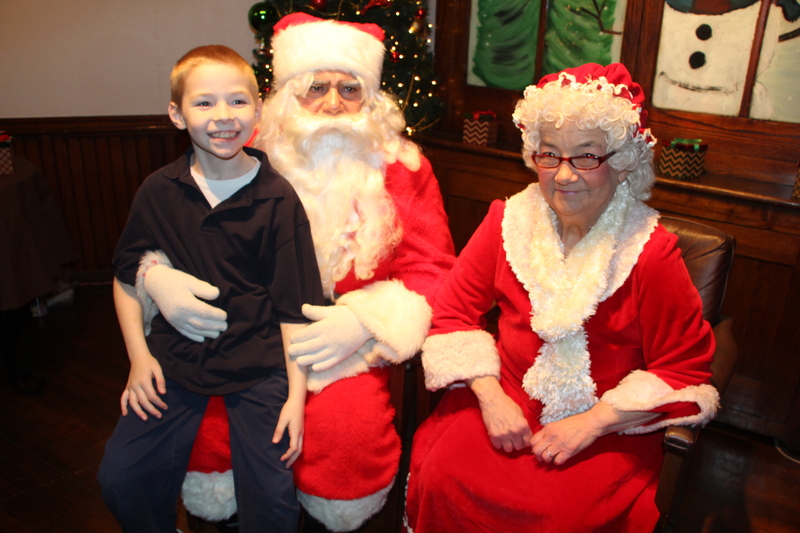 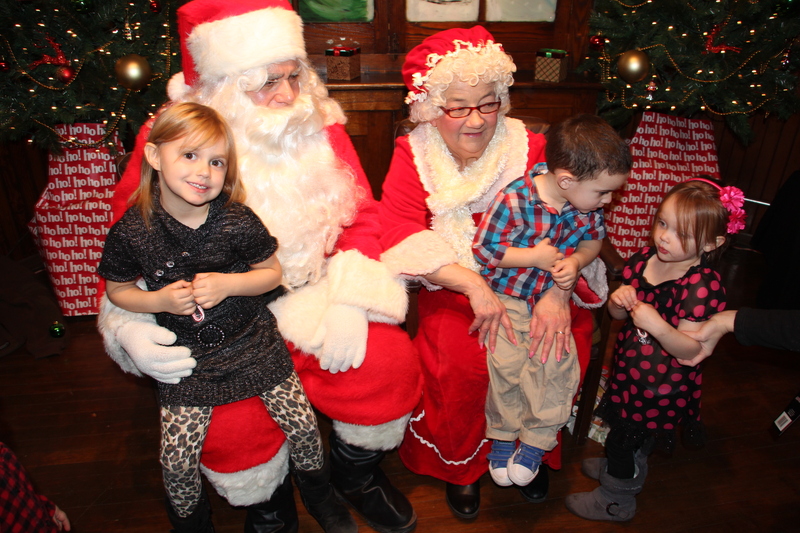 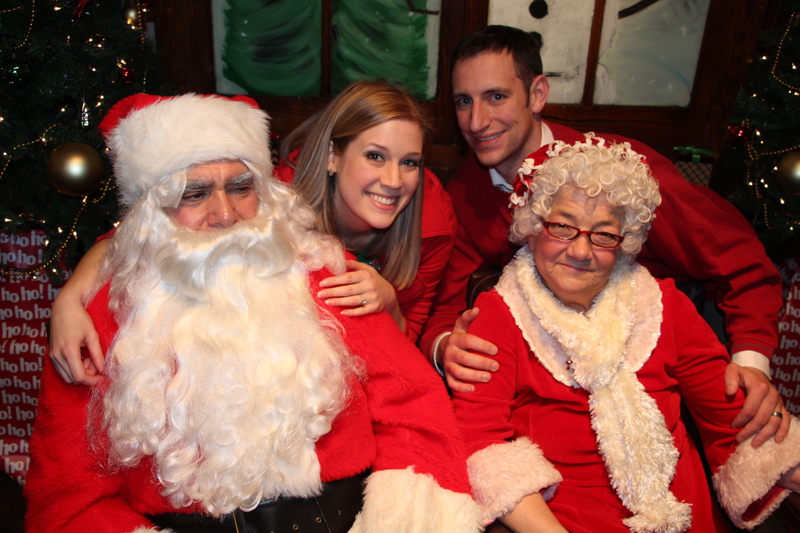 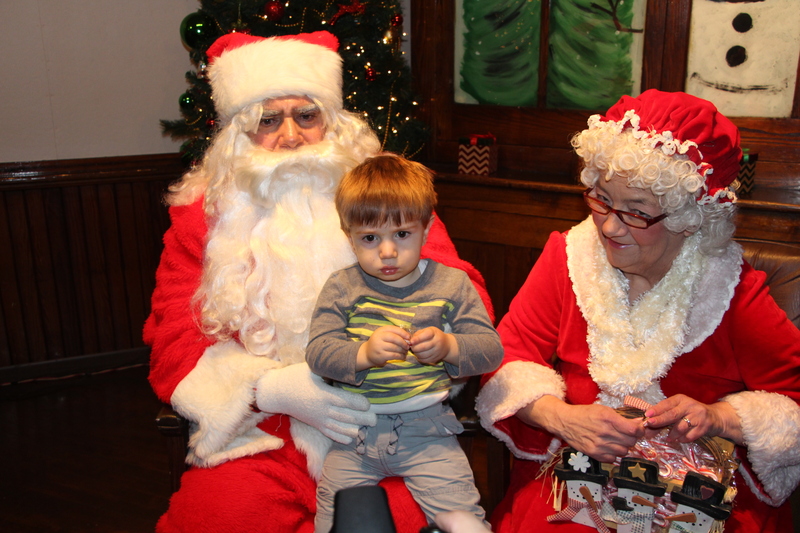 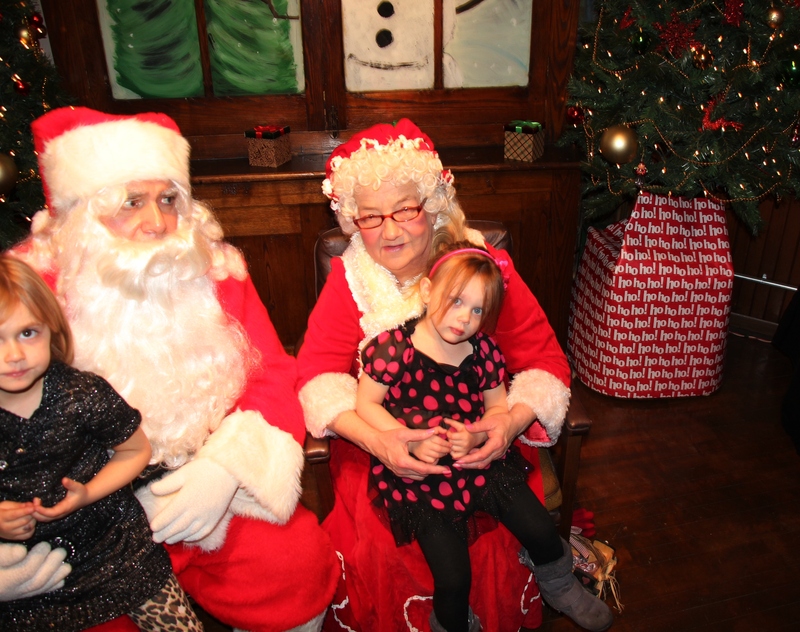 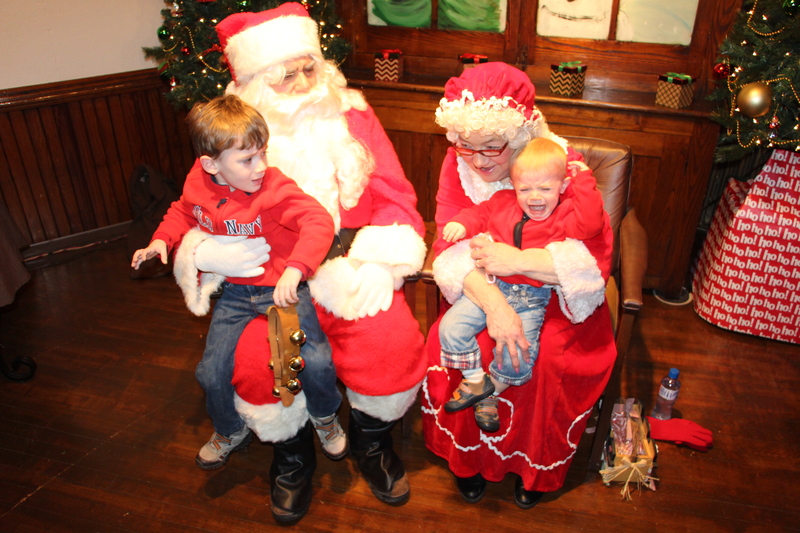 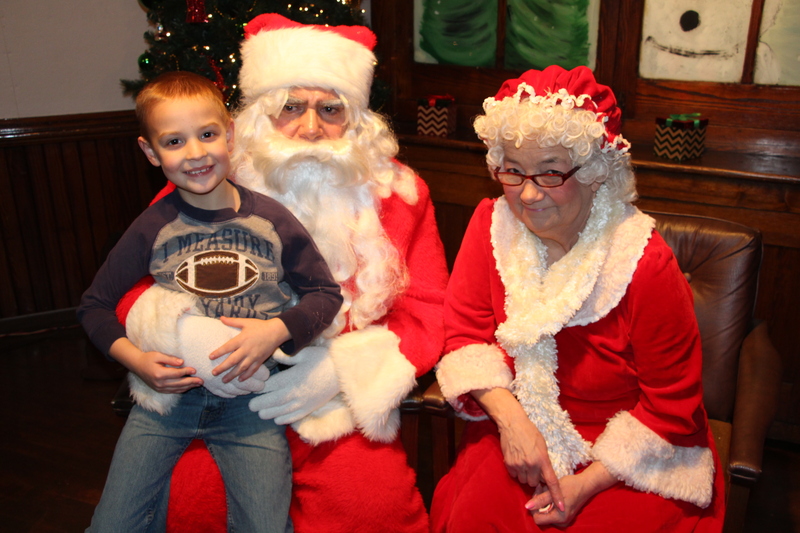 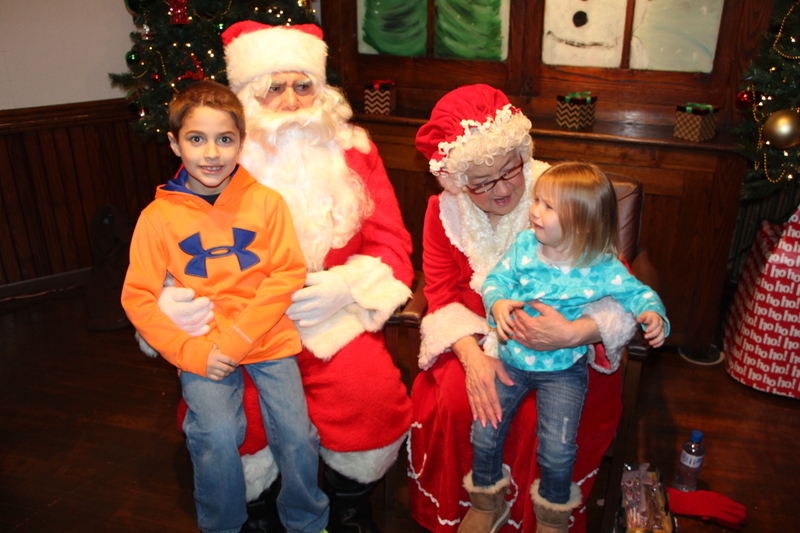 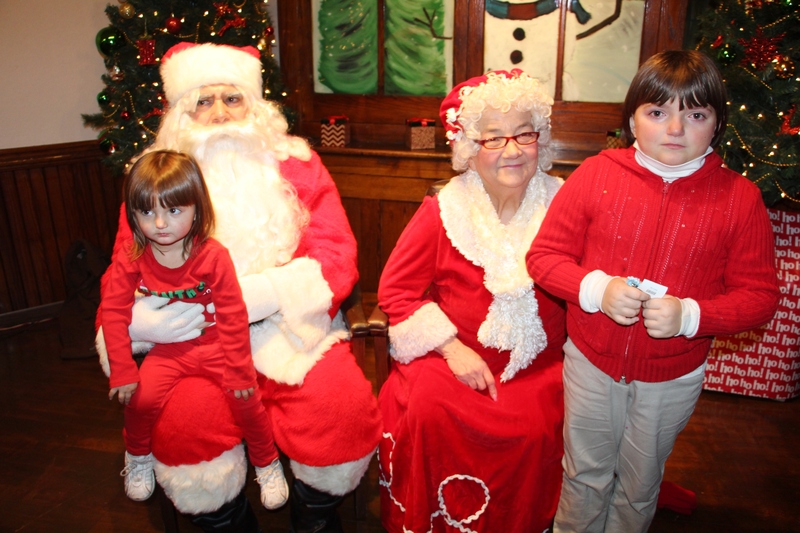 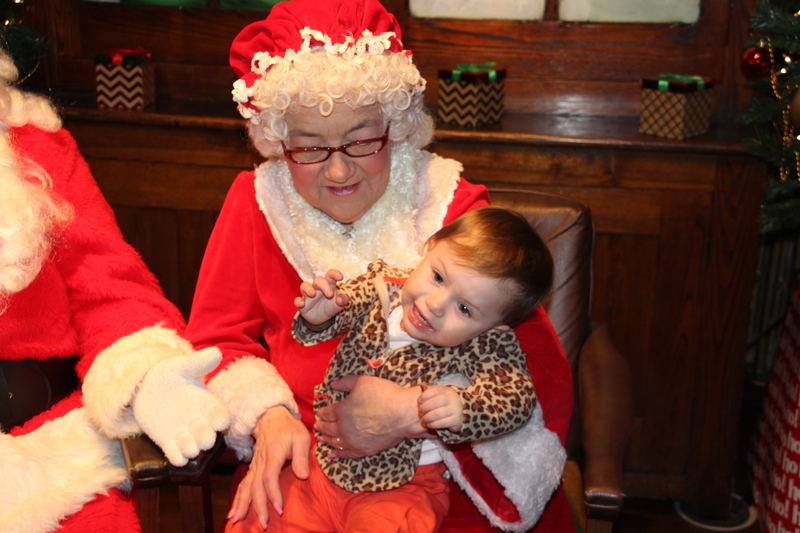 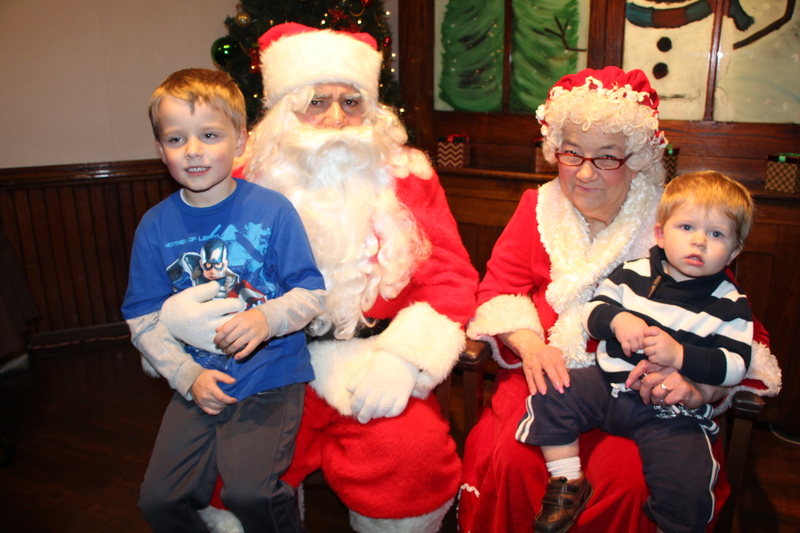 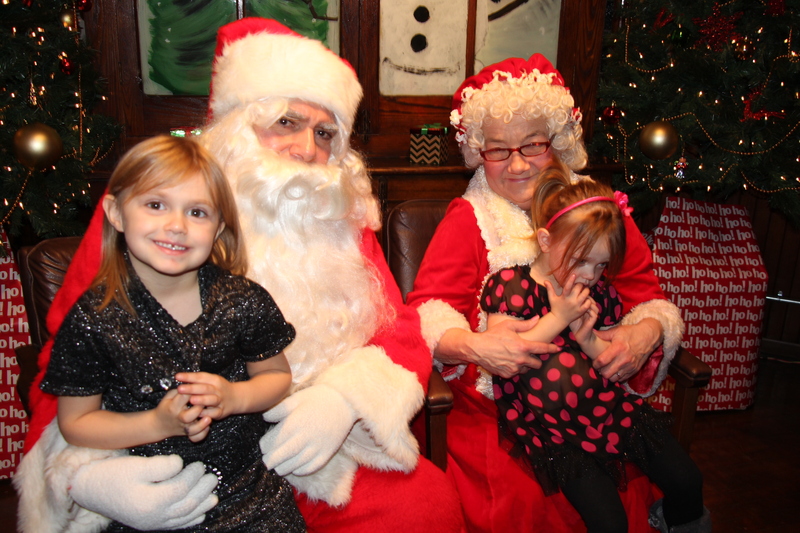 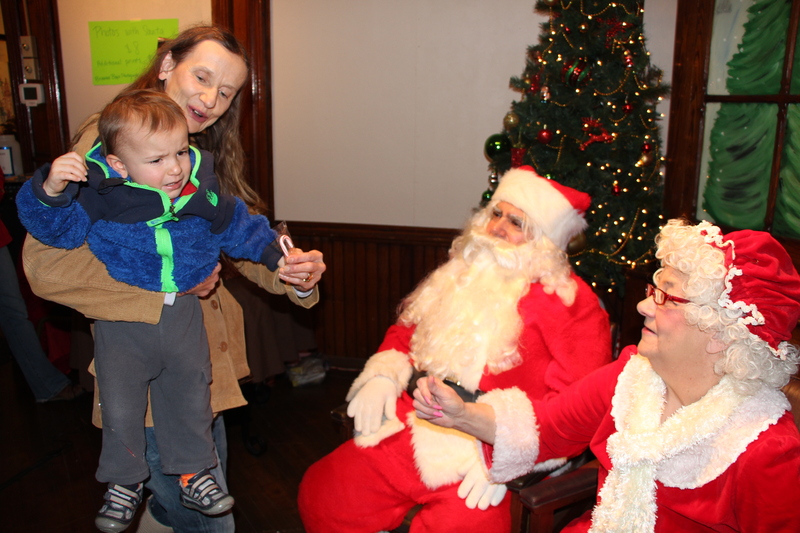 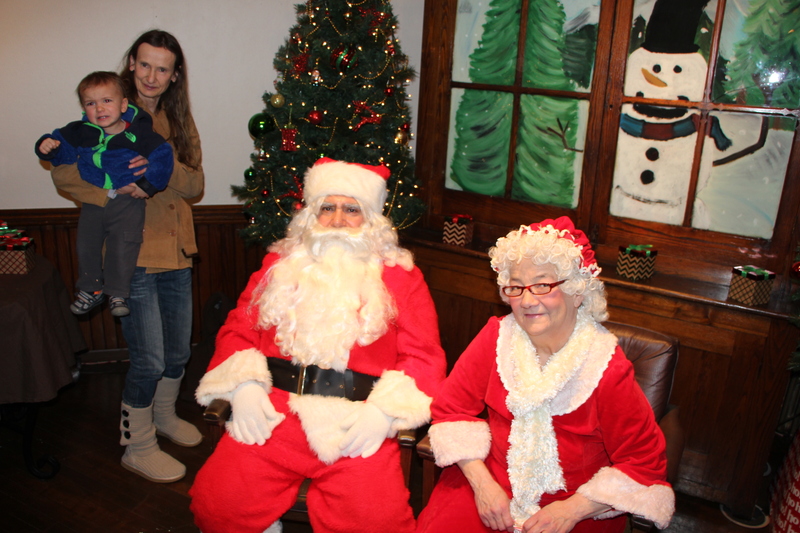 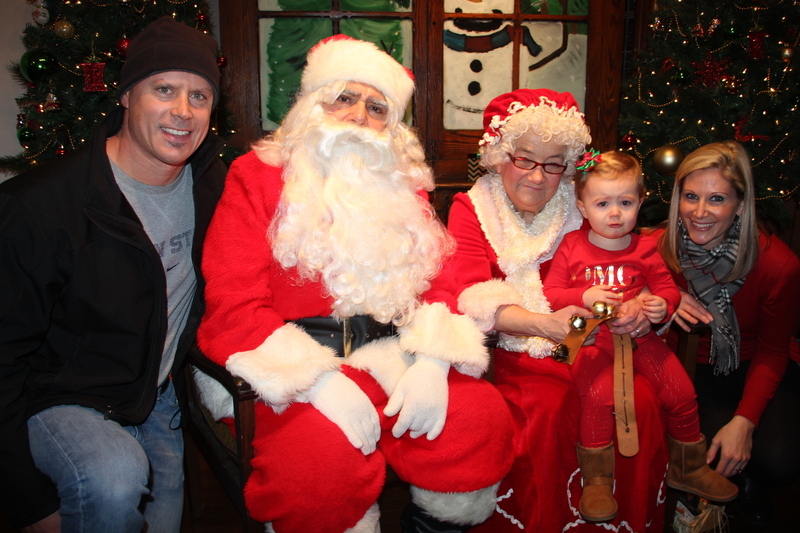 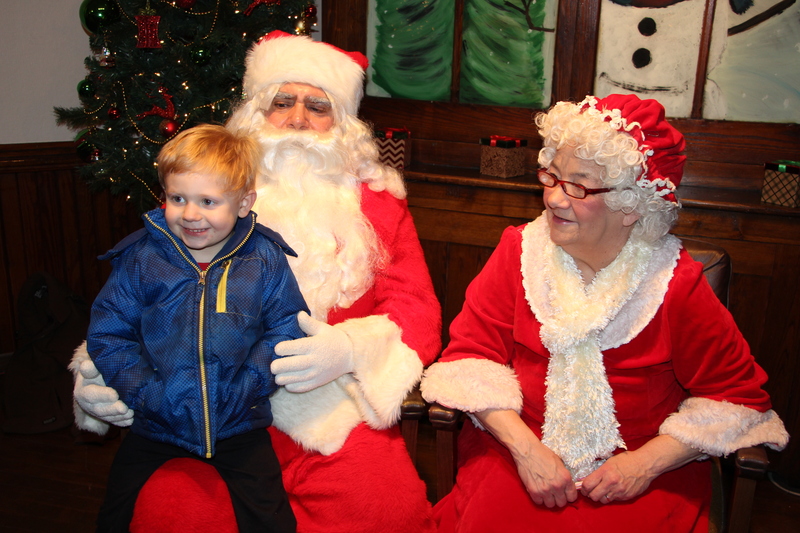 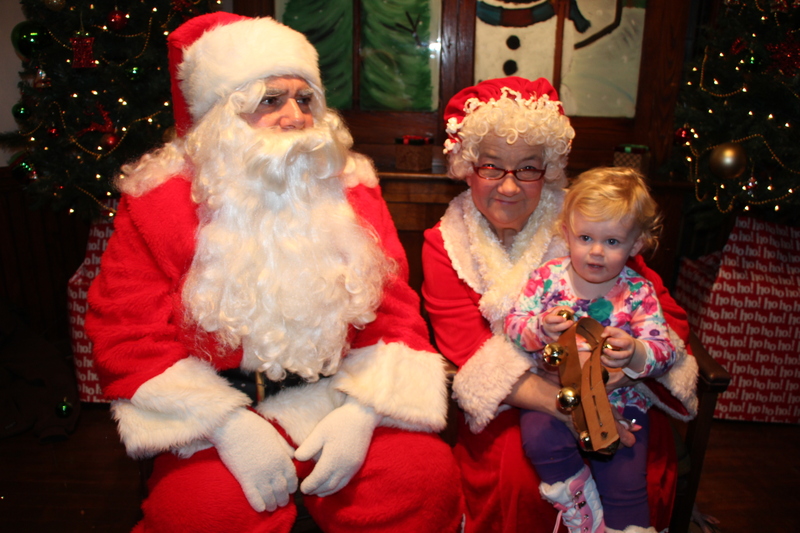 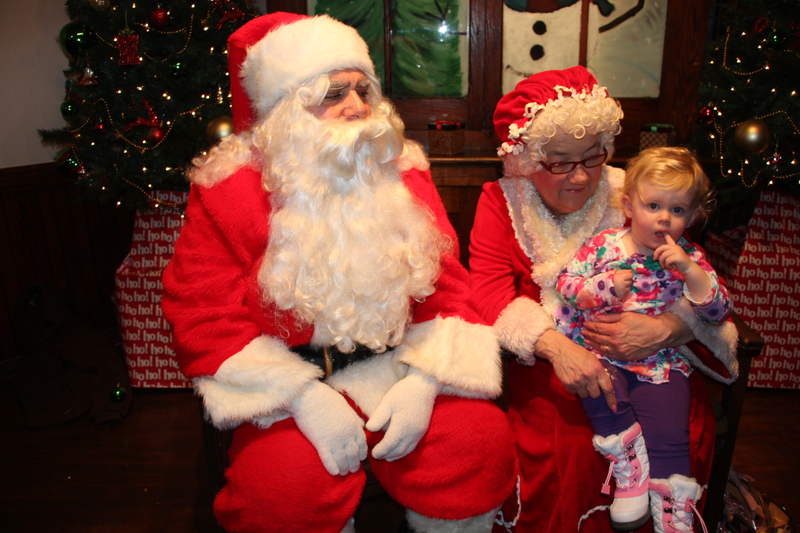 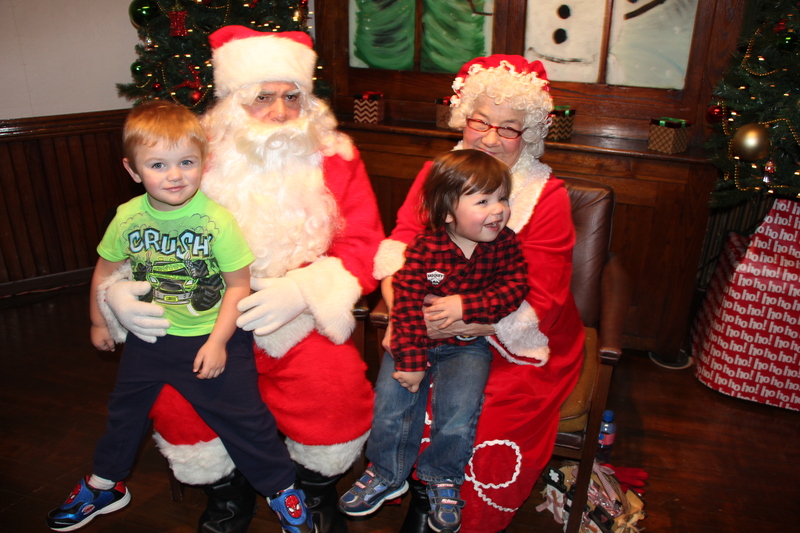 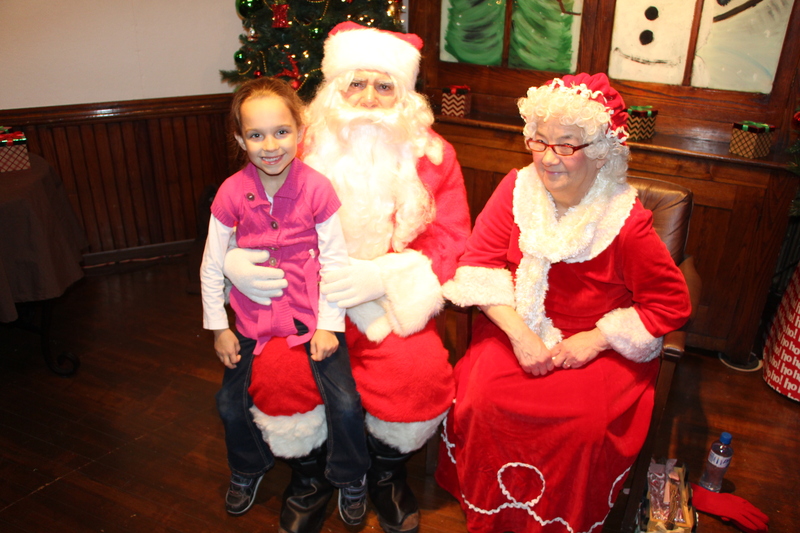 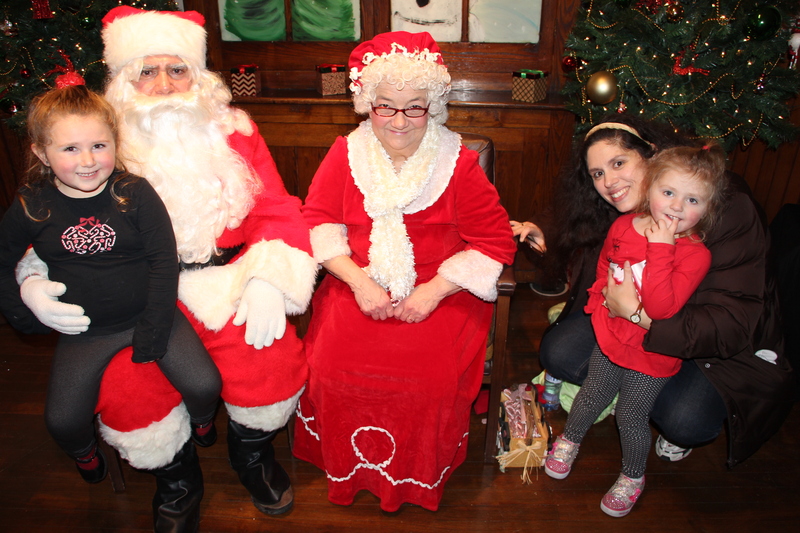 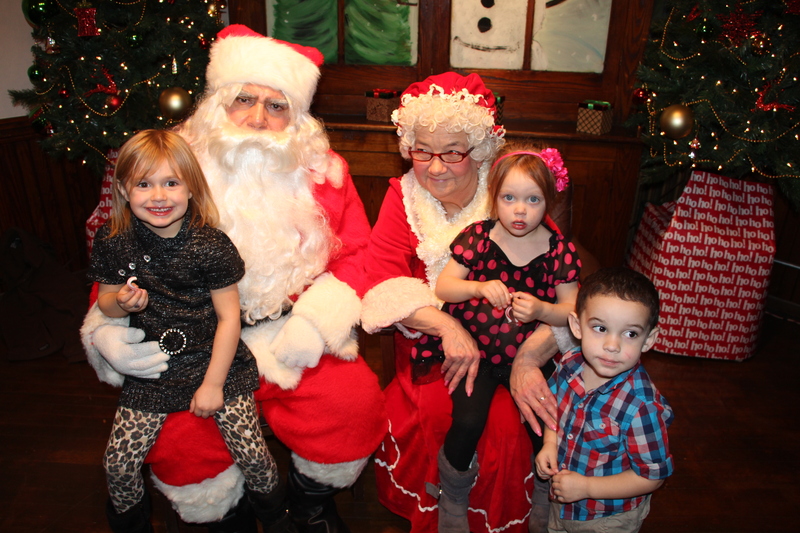 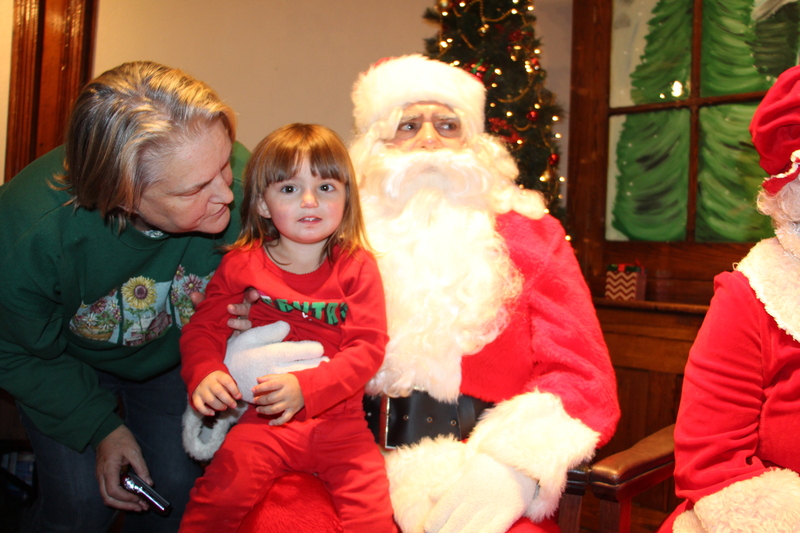 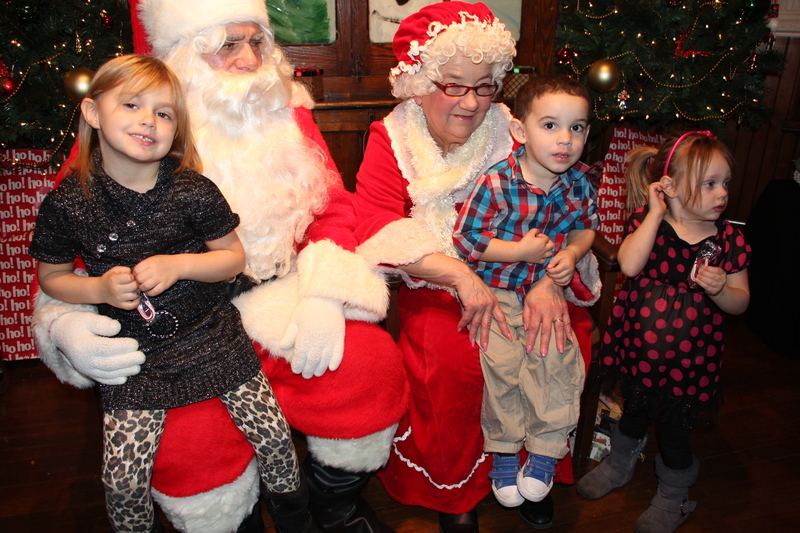 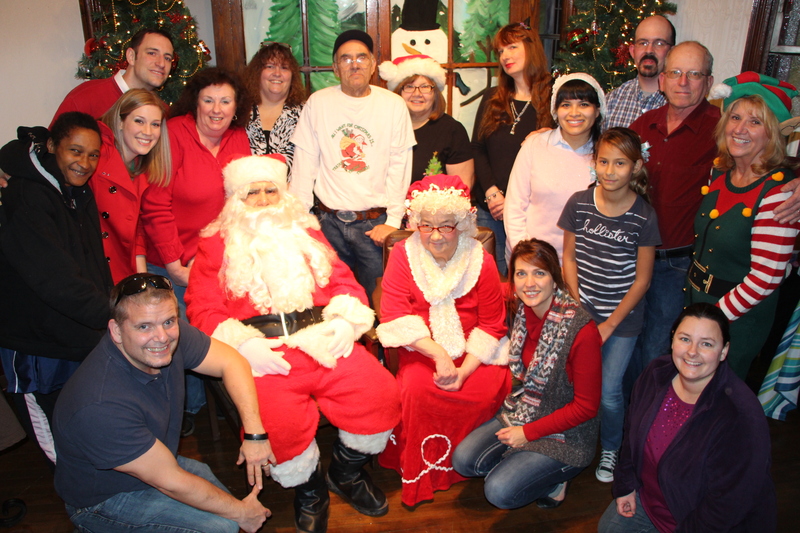 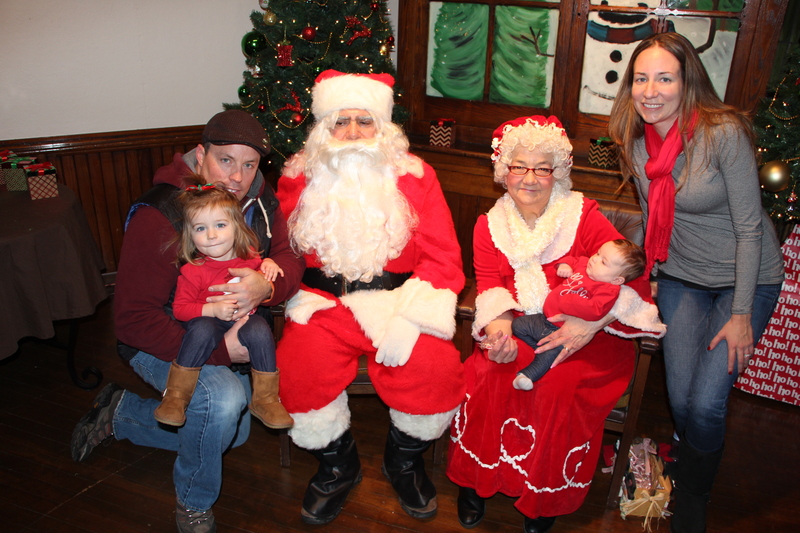 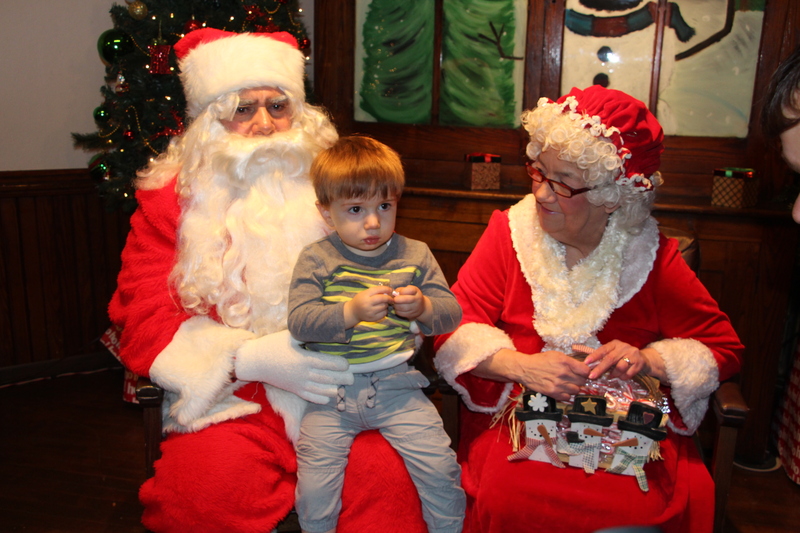 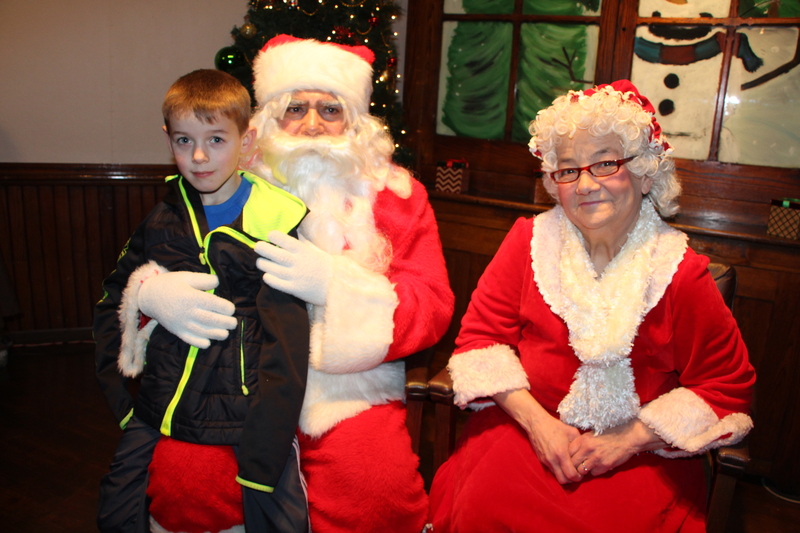 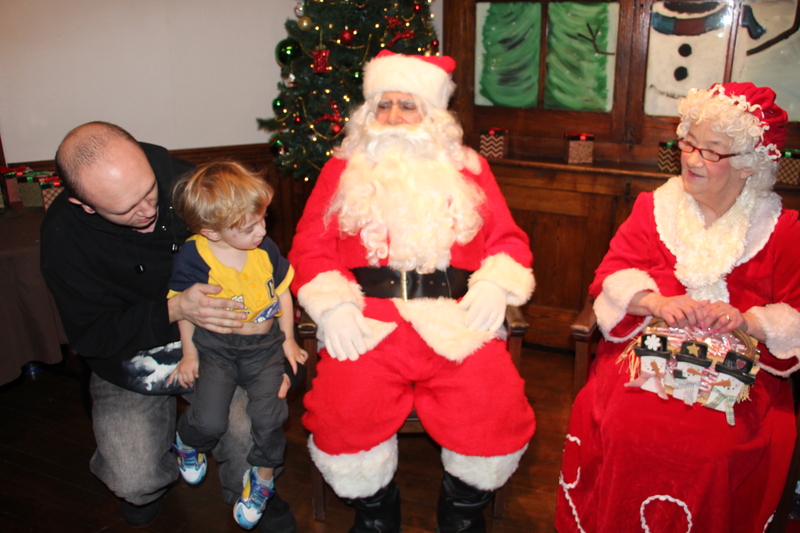 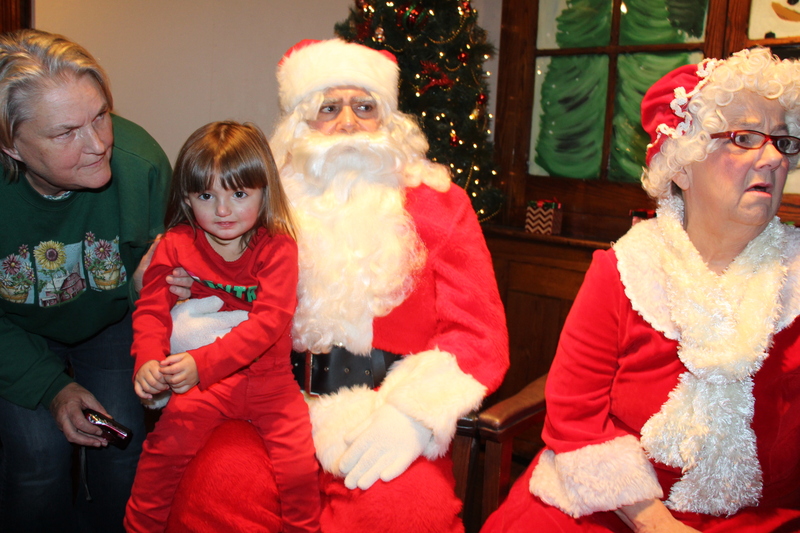 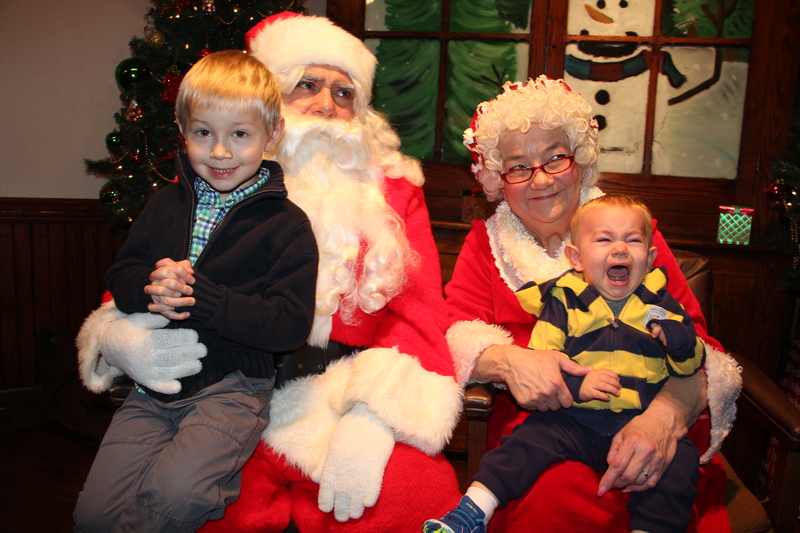 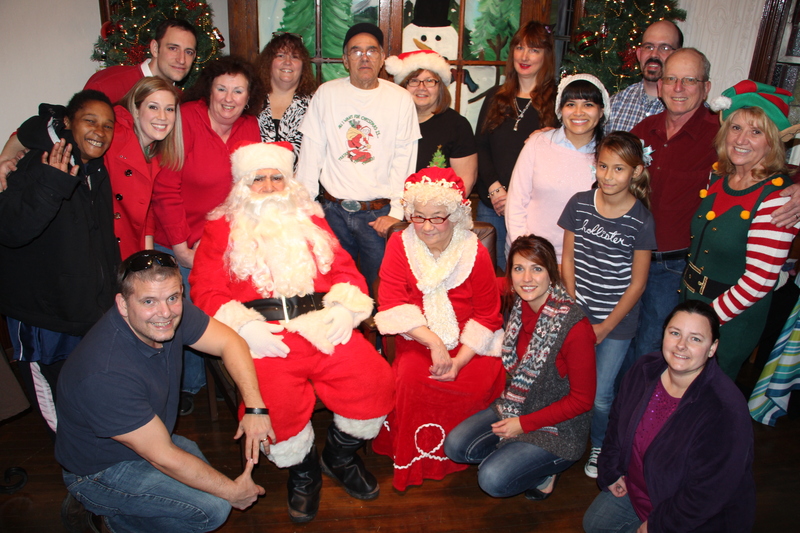 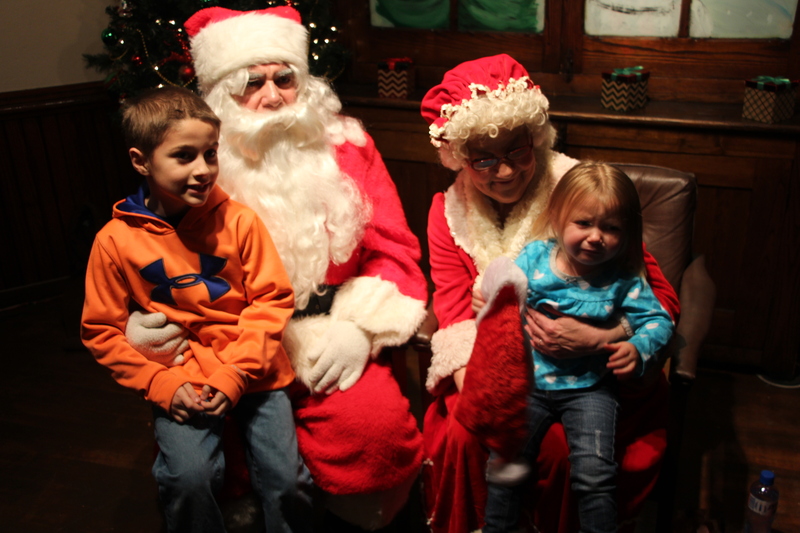 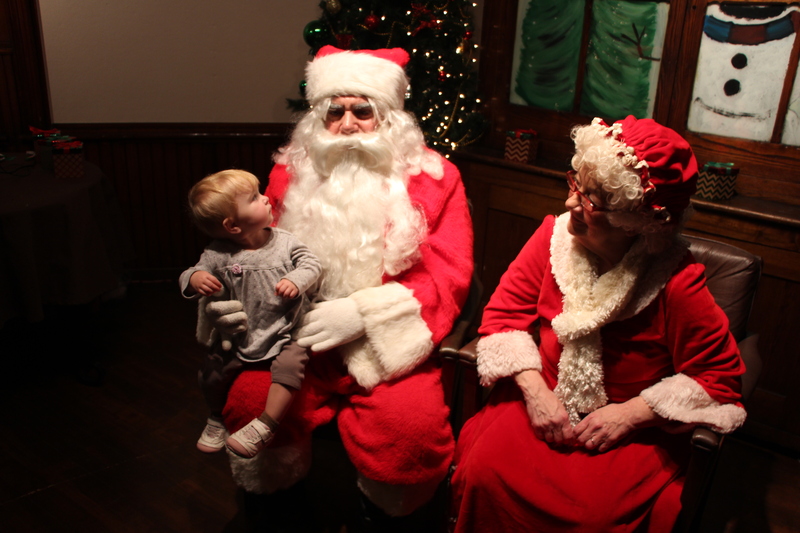 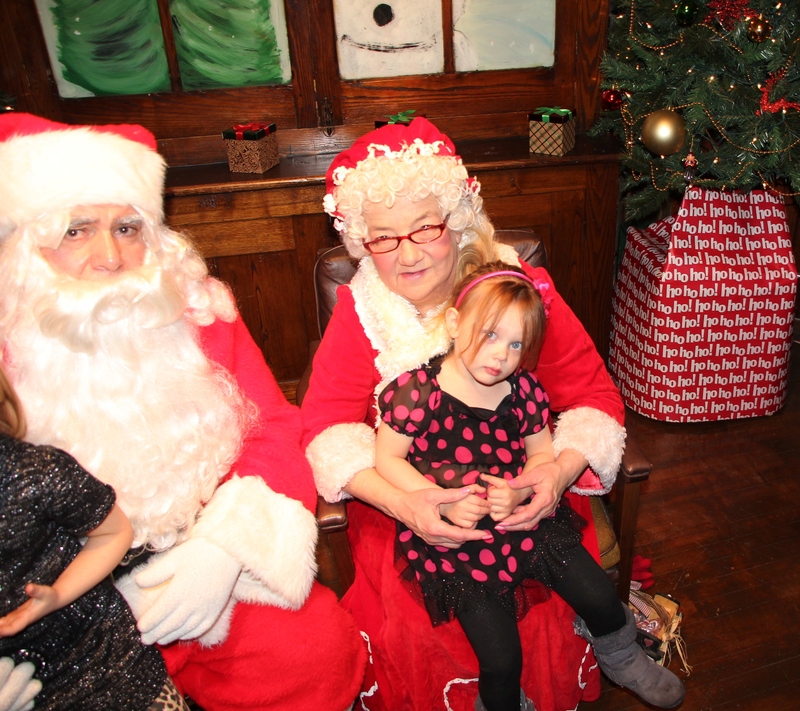 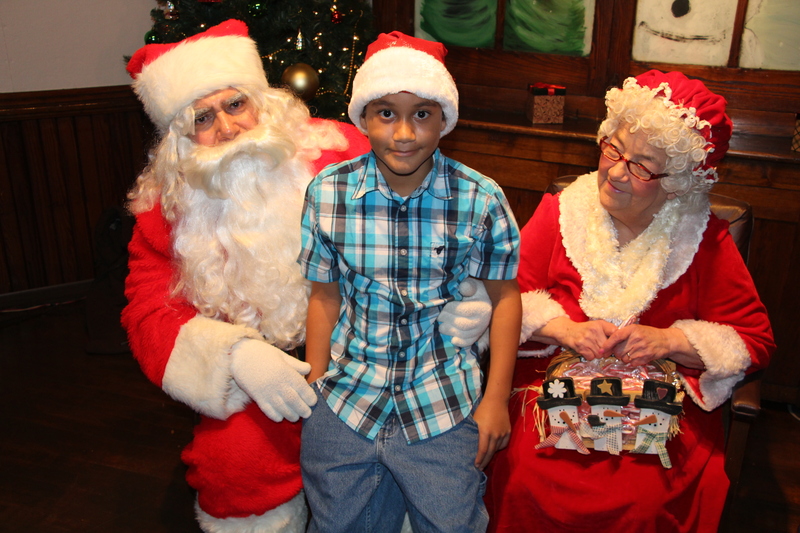 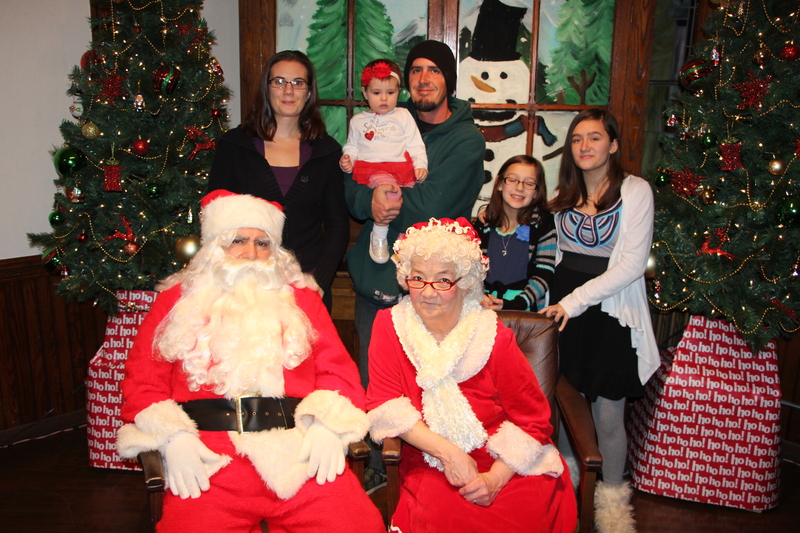 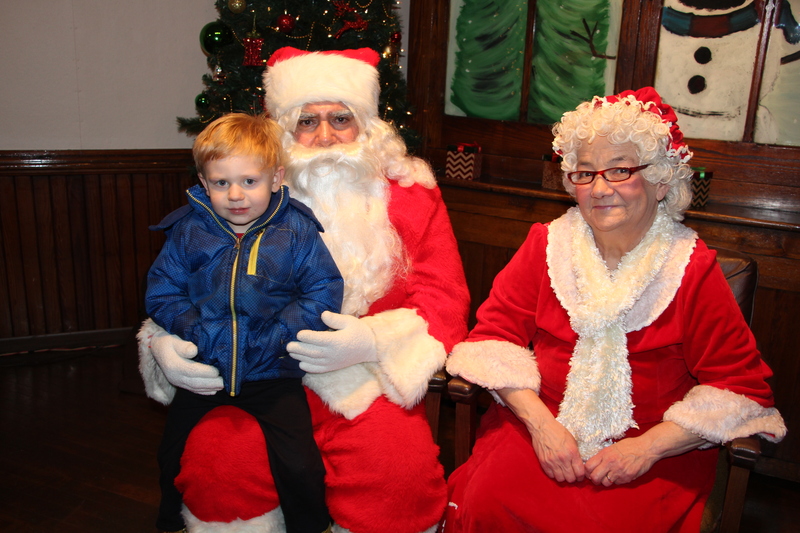 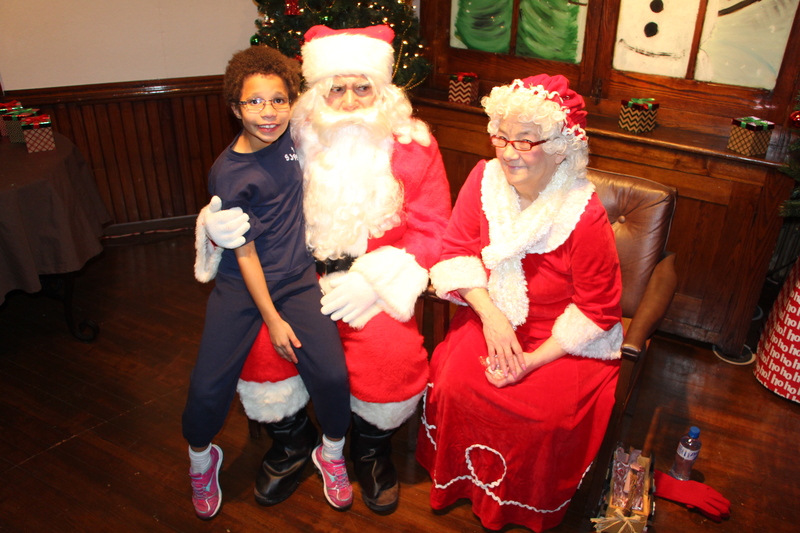 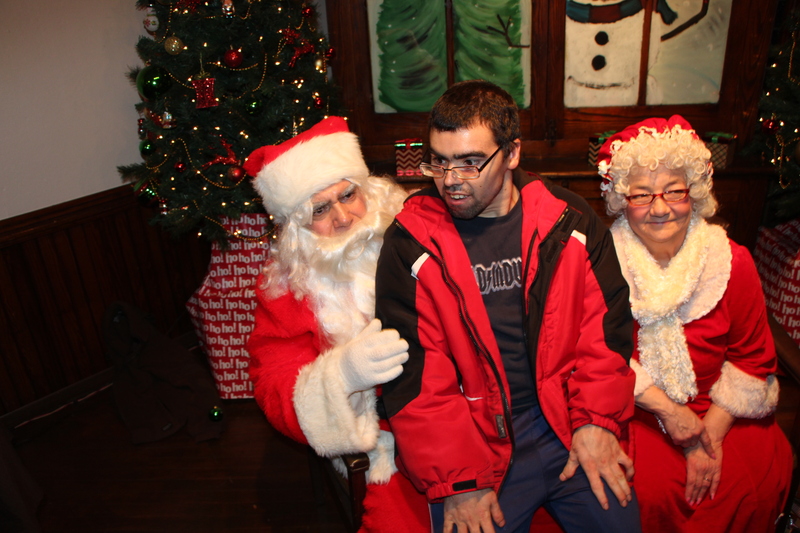 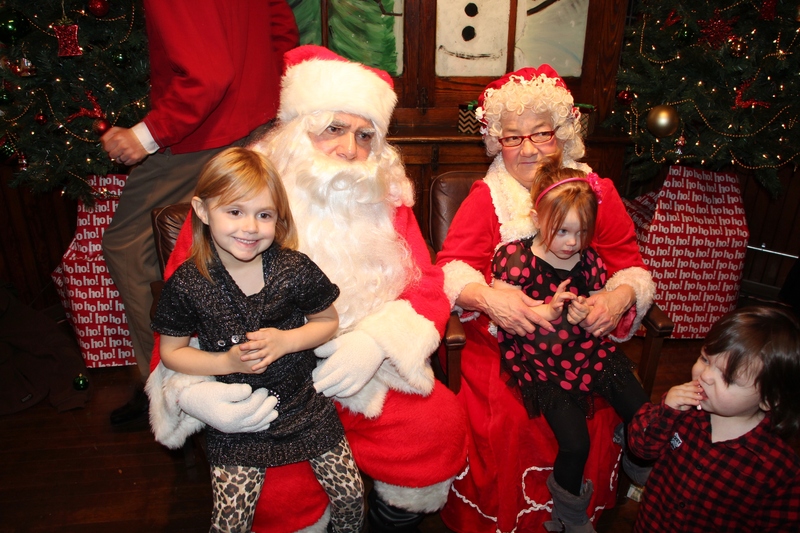 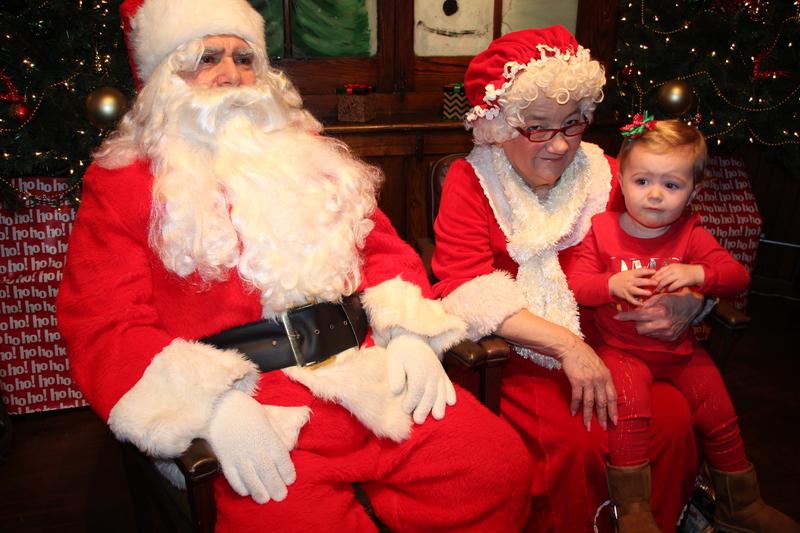 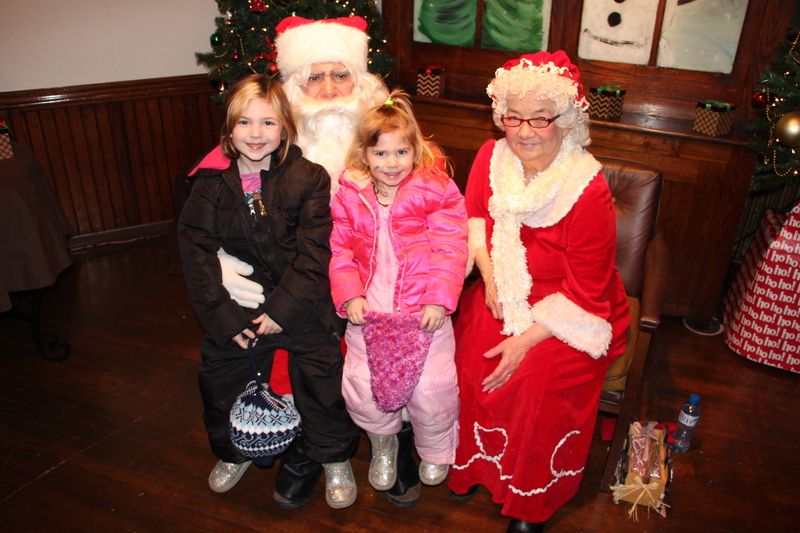 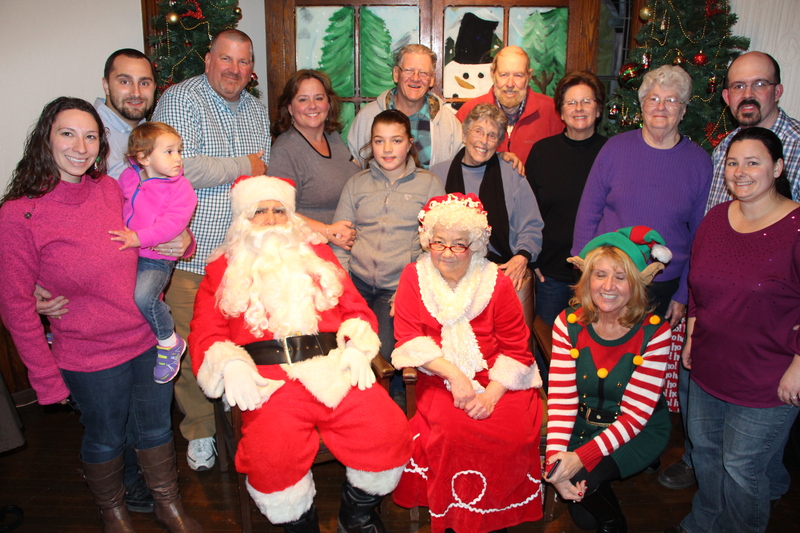 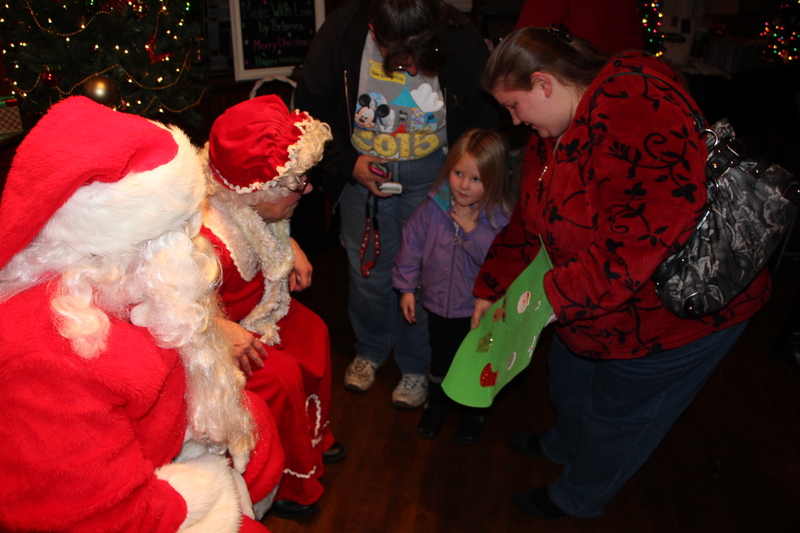 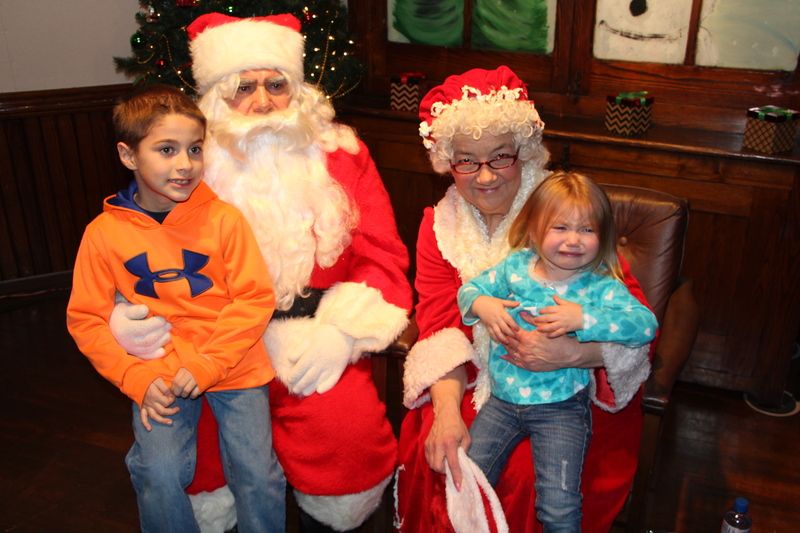 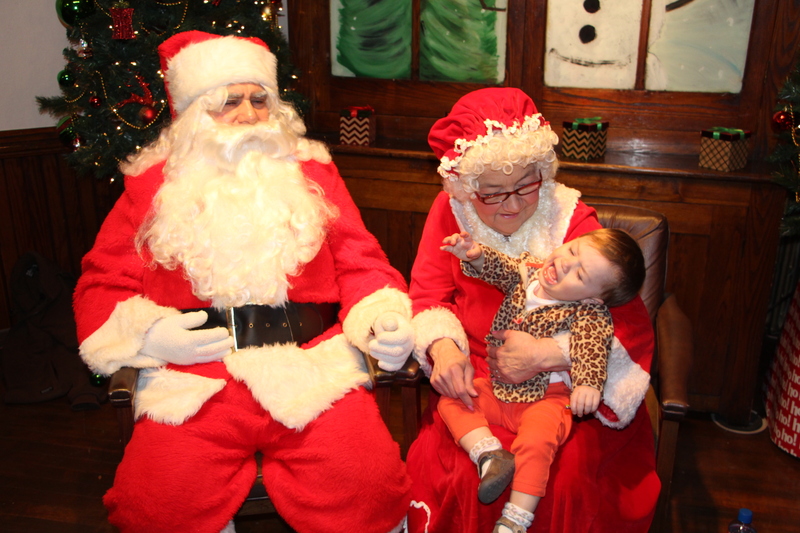 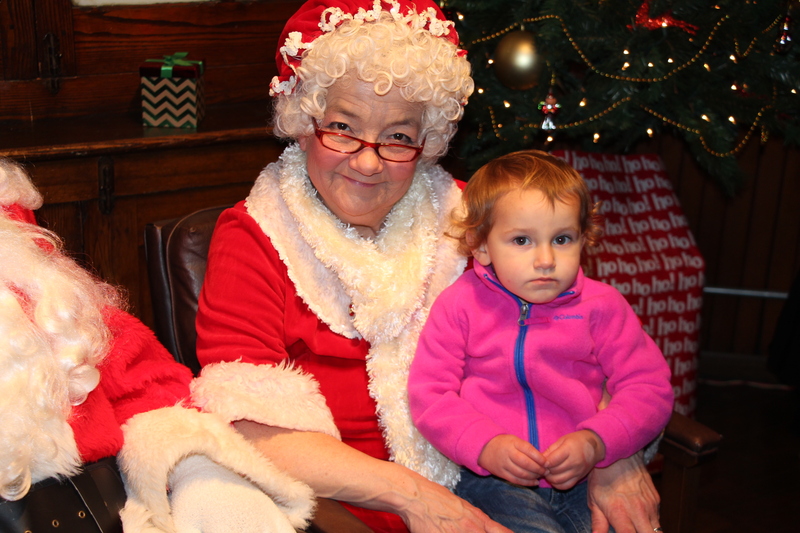 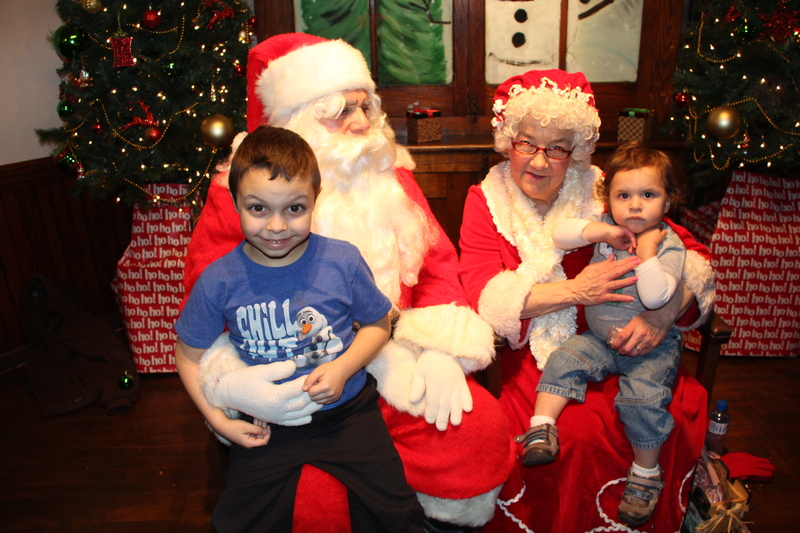 Pictured are photos from the Tamaqua Spirit of Christmas Meet and Greet with Santa and Mrs. Claus at the Tamaqua Community Arts Center. 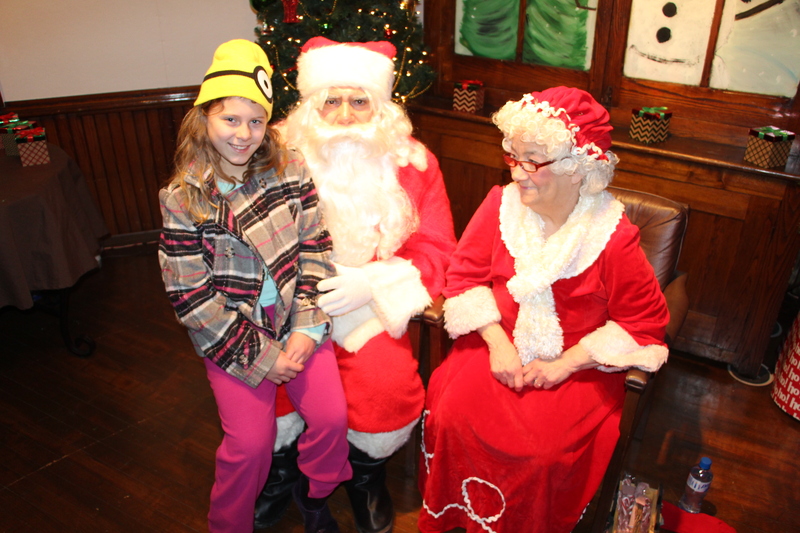 8 AM –> Open House, visit with artists at Tink’s Antiques, free hot beverages from Mamma C’s Bakery. 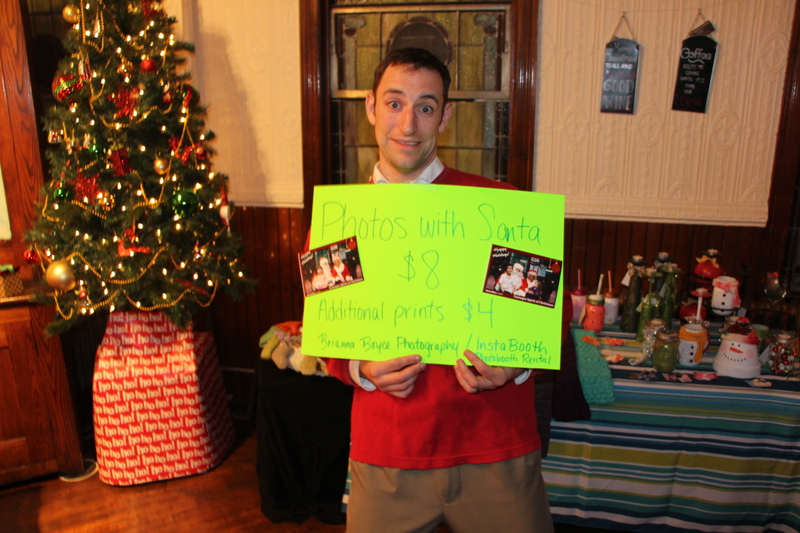 10 AM to 3 PM –> Holiday Vendor Bazaar at Tamaqua Elementary School (via parents of the Tamaqua Class of 2017). 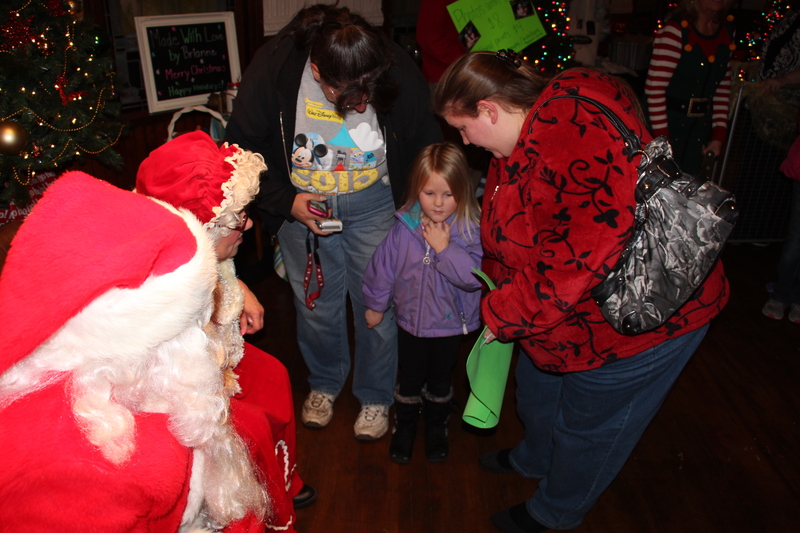 10 AM to 8 PM –> Indoor Tree Festival Display Voting and Artist Market at Tamaqua Community Arts Center, 125 Pine Street. 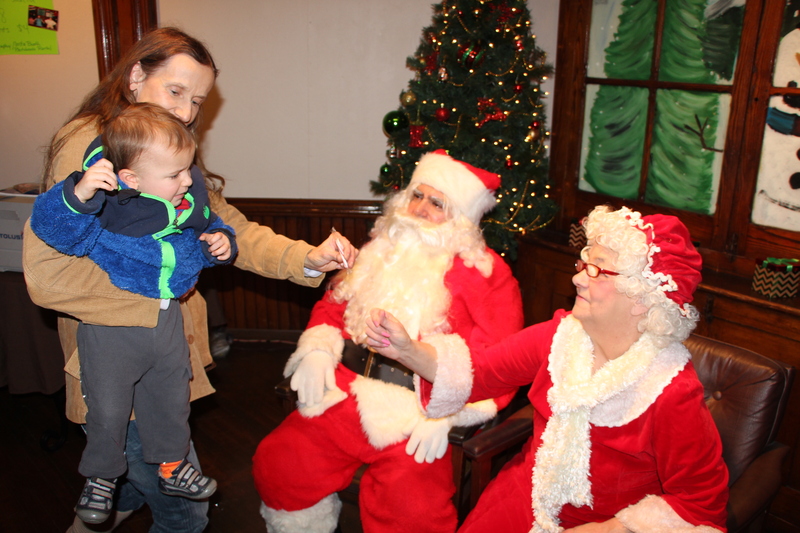 10 AM to 12 PM –> Free Holiday Kids Crafts, Games Tours at Tamaqua Community Arts Center, 125 Pine Street. 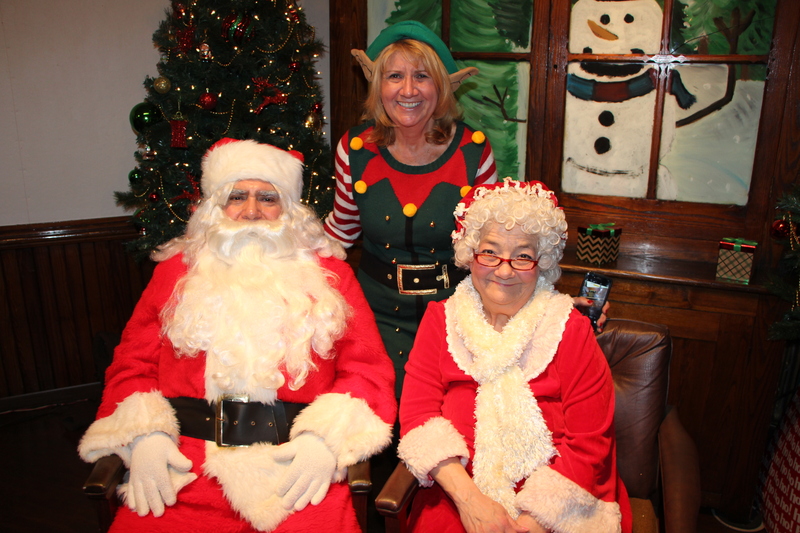 2 PM –> Musical “The Rented Christmas” at Tamaqua Community Arts Center, 125 Pine Street. 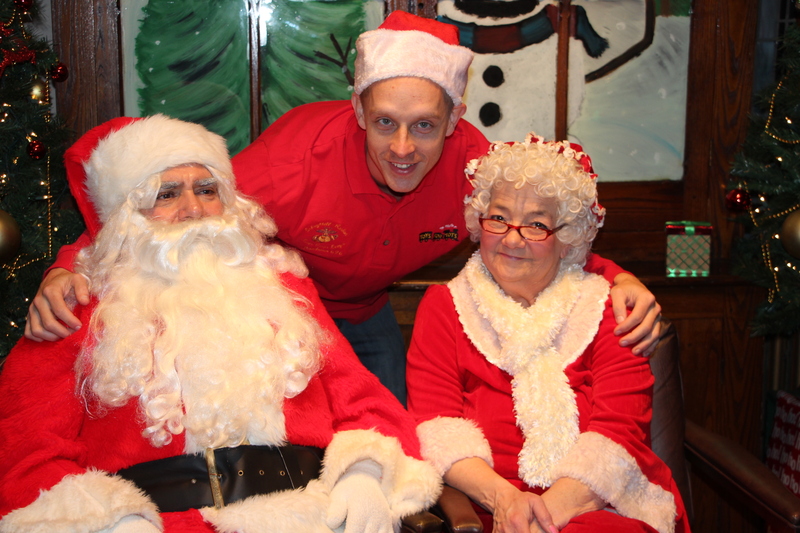 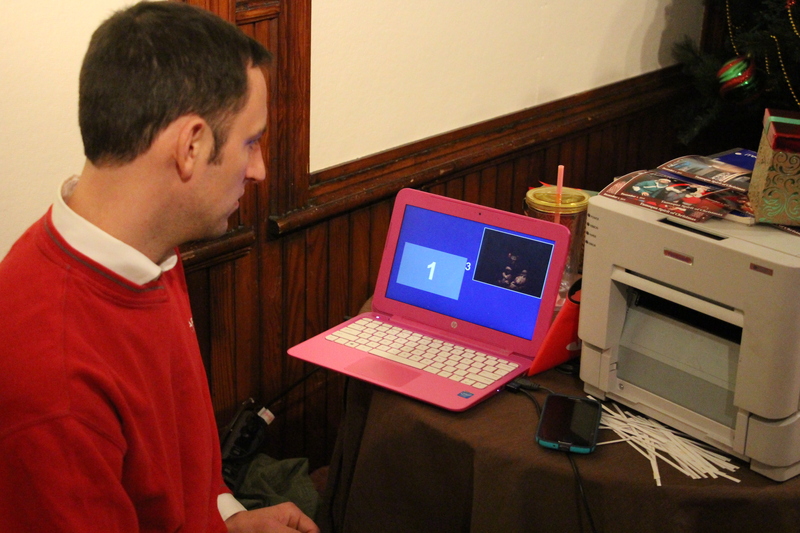 3 PM –> Cookie Contest Judging at Tamaqua Community Arts Center, 125 Pine Street. 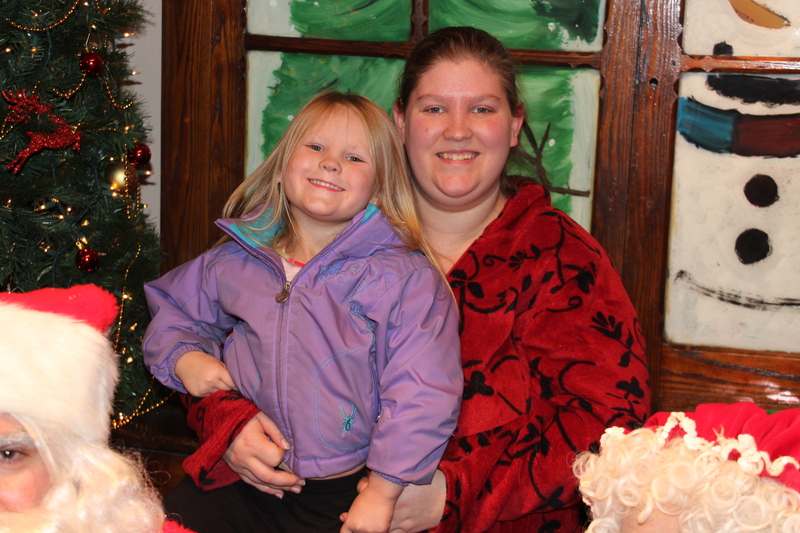 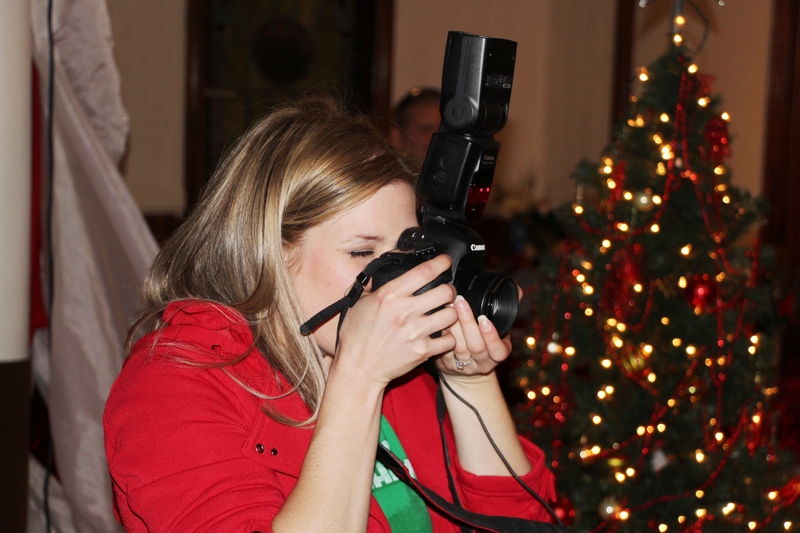 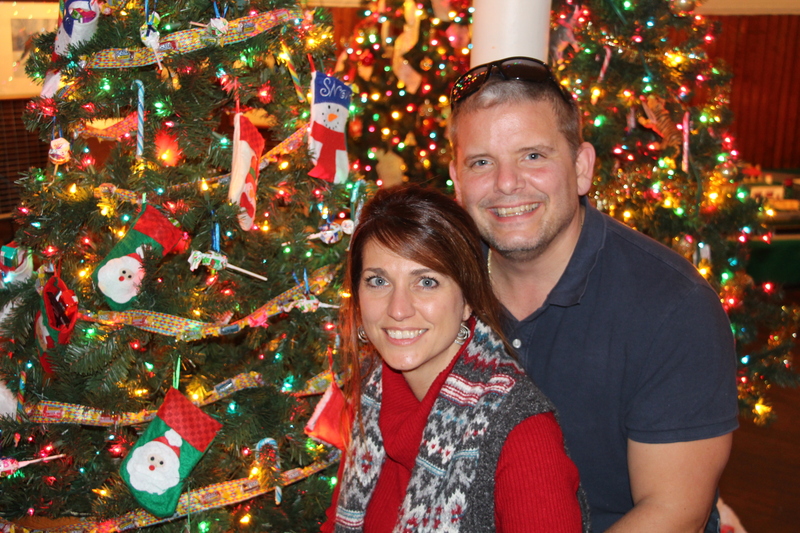 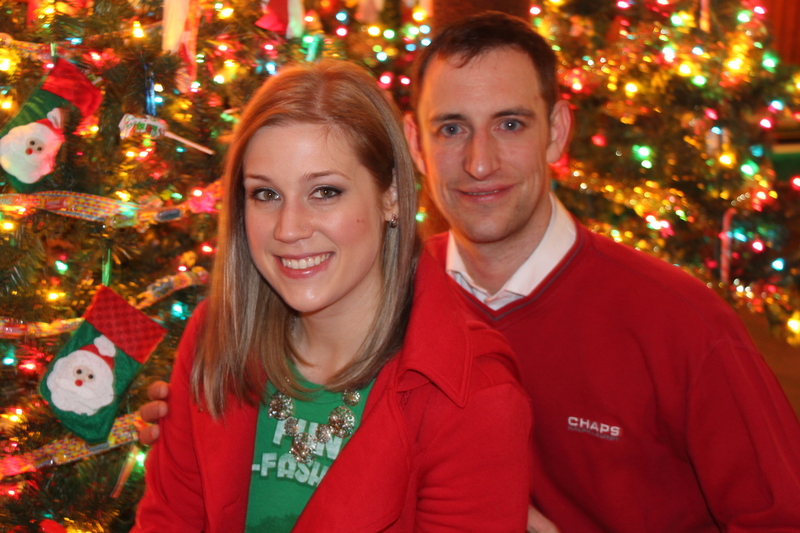 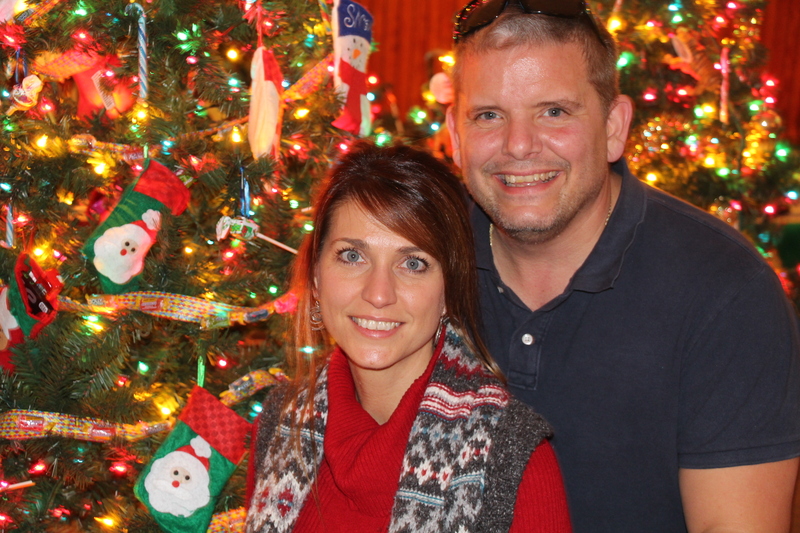 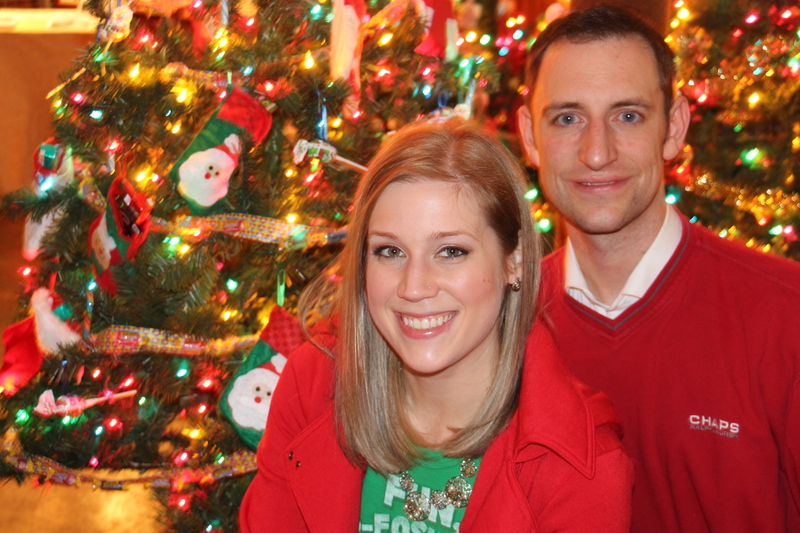 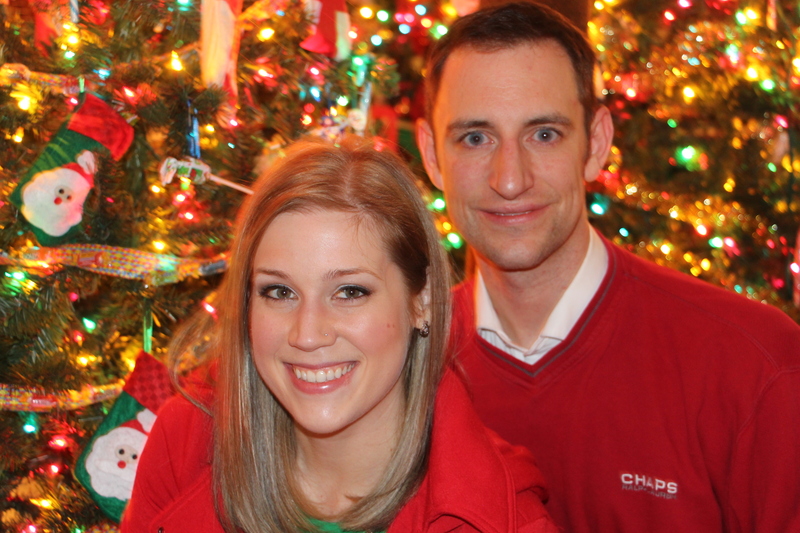 7 PM –> Musical “The Rented Christmas” at Tamaqua Community Arts Center, 125 Pine Street. 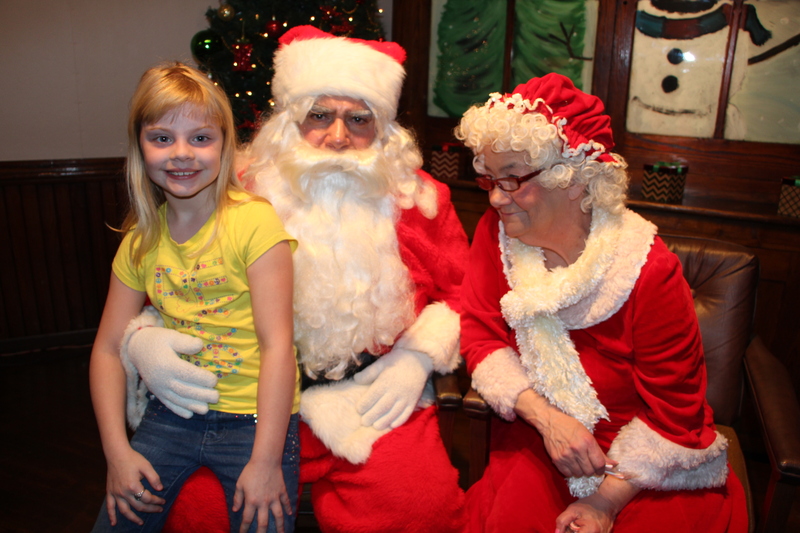 7:30 PM –> Musical “Pine Cones and Holly Berries” at Strawberry Playhouse, 60 Church Street, Tuscarora. 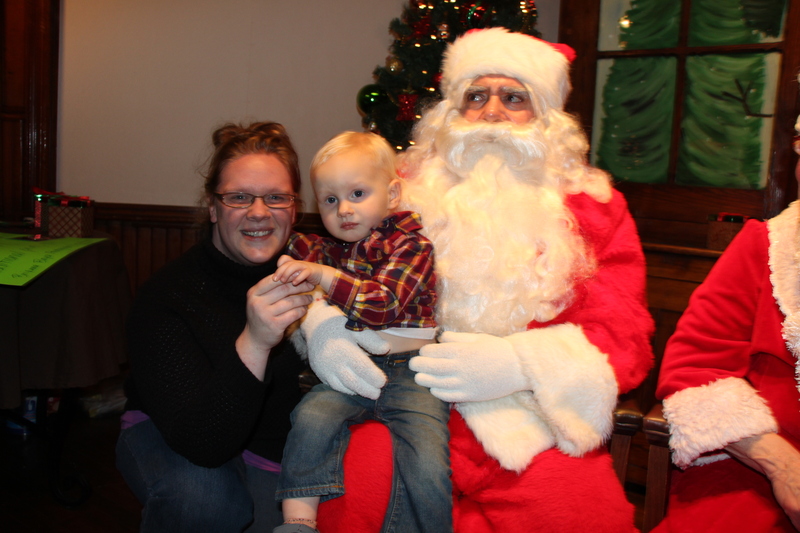 1 PM –> Mommy and Me Holiday Colored Pencil Class with Amy Mogish at Tamaqua Community Arts Center, 125 Pine Street. 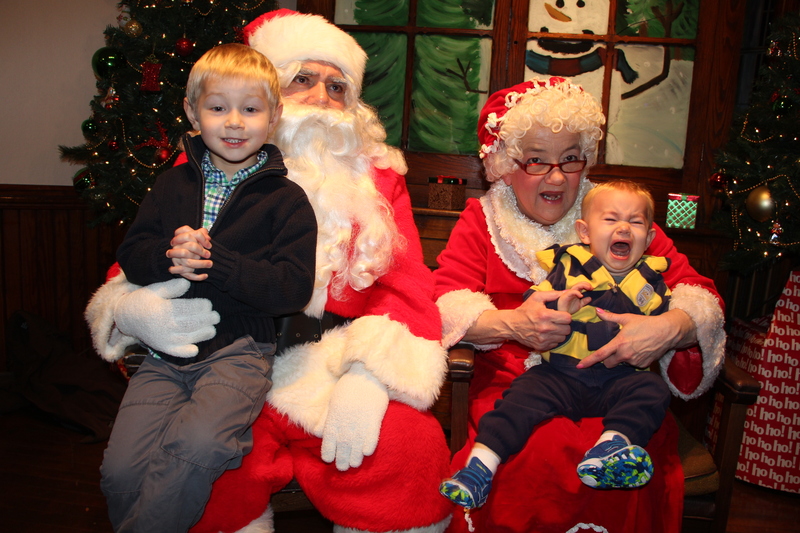 (RSVP req’d). 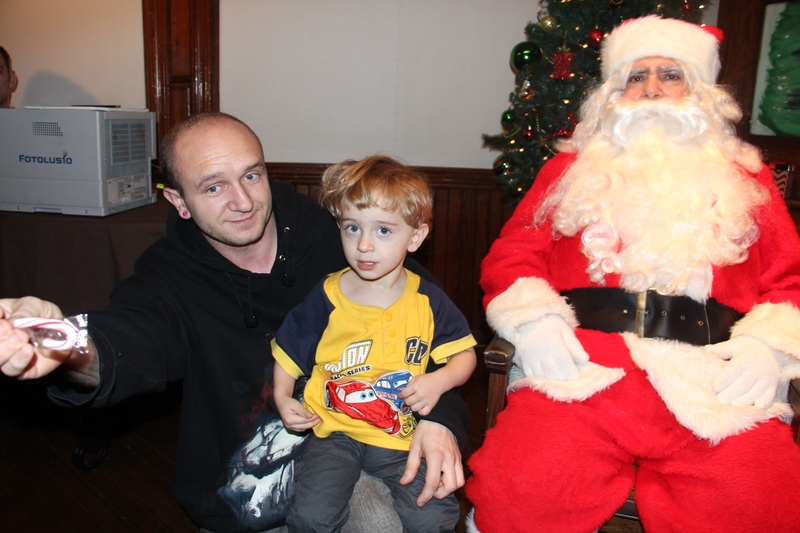 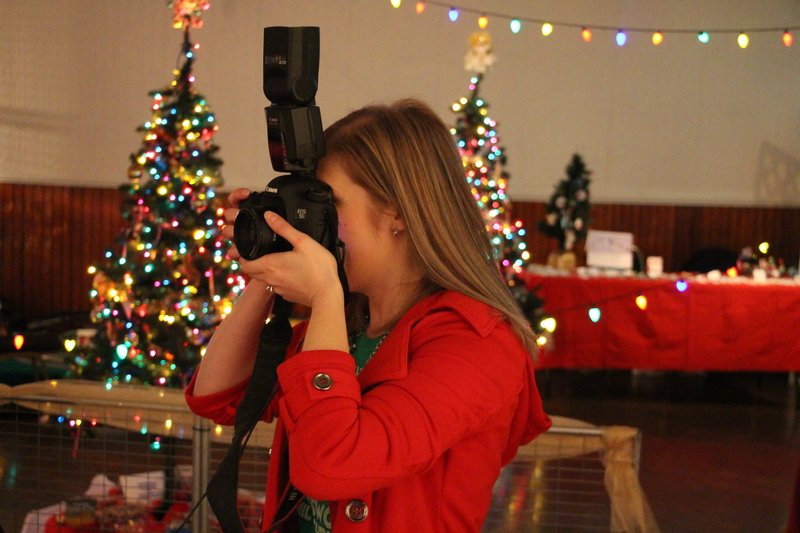 1 PM to 4 PM –> Indoor Tree Festival Display Voting and Artist Market at Tamaqua Community Arts Center, 125 Pine Street. 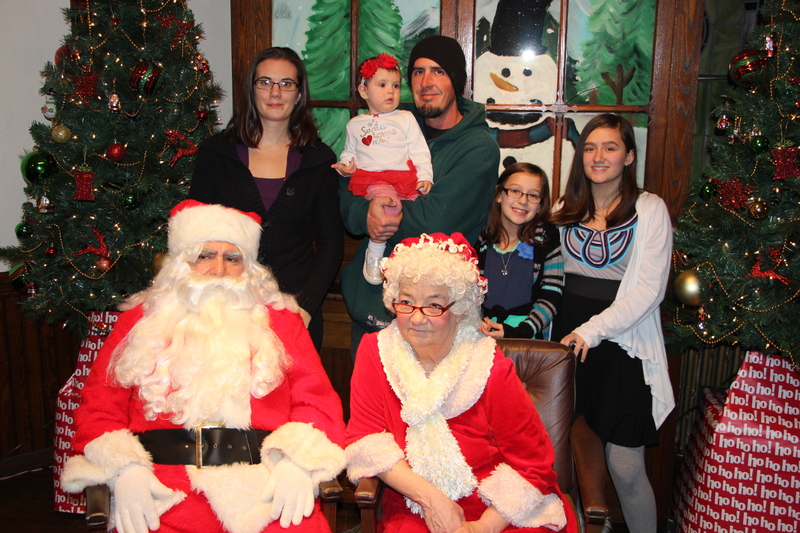 2:30 PM –> Christmas Concert featuring Susan M. Featro (Voice Lifted) at Tamaqua Community Arts Center, 125 Pine Street. 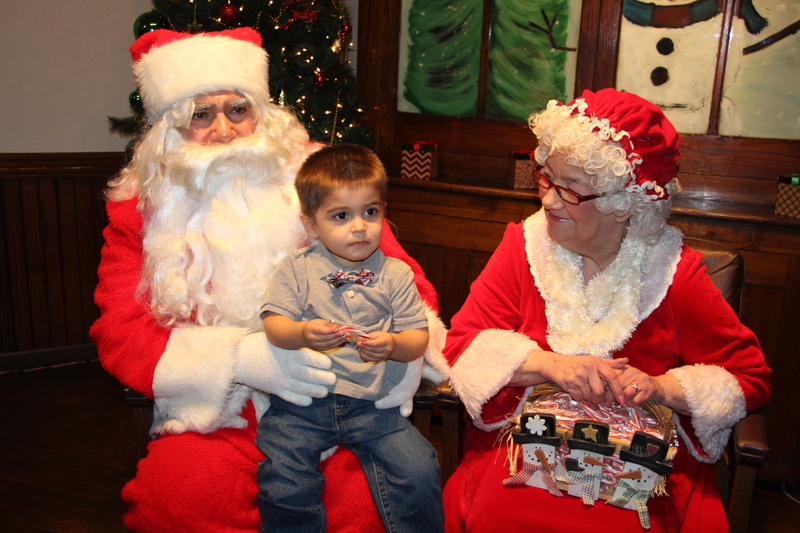 2:30 PM –> Musical “Pine Cones and Holly Berries” at Strawberry Playhouse, 60 Church Street, Tuscarora. 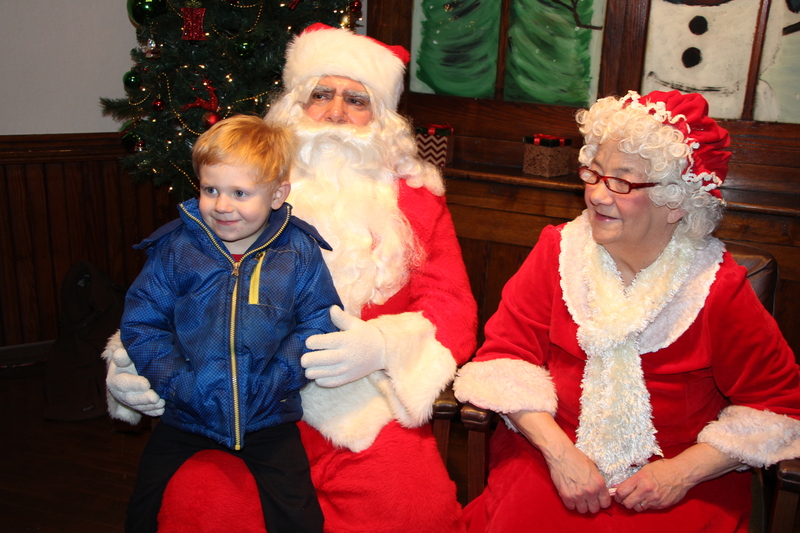 6 PM –> Christmas Tree Lighting and Tamaqua High School Jazz Chorale at Depot Square Park, followed by cookies and hot chocolate at Tamaqua Ambulance, 99 North Railroad Street. 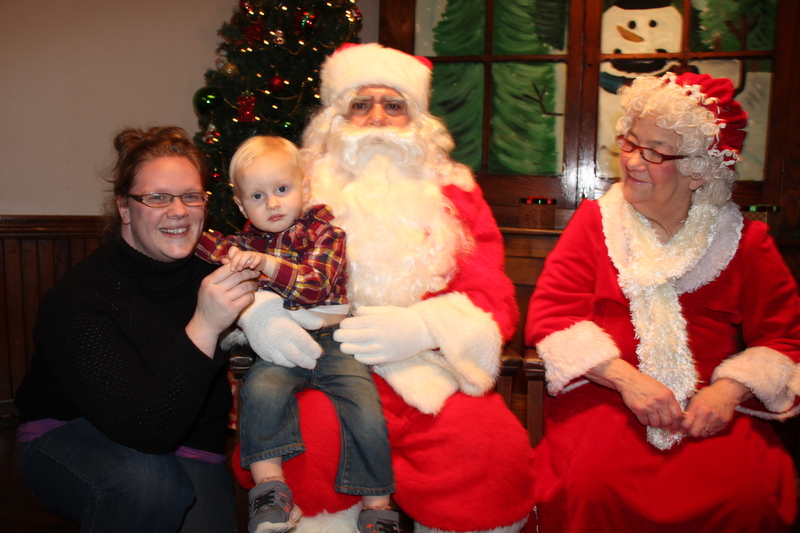 (Includes announcement of Cookie Contest winners).